The ICP Ally Network is comprised of stakeholders from across the energy efficiency industry who recognize the need for standardization and support the Investor Confidence Project. In return, ICP provides our members with promotional efforts and facilitated networking. ICP welcomes all interested stakeholders to join the ICP Ally Network. Environmental Defense Fund has a mission is to preserve the natural systems on which all life depends. Guided by science and economics, we find practical and lasting solutions to the most serious environmental problems. Since these topics are intertwined, our solutions take a multidisciplinary approach. We work in concert with other organizations—as well as with business, government and communities—and avoid duplicating work already being done effectively by others. 4Sight Energy Solutions brings energy efficiency and sound energy management practices to commercial facilities. We identify and manage implementation of projects that pay for themselves and our fees through the utility and maintenance cost savings they generate. 4Sight provides the information and professional engineering support necessary to help our customers implement educated investment decisions that result in lower facility operational costs. Abacus Property Solutions is a real estate advisory firm, specialized in the financing and management of energy efficiency projects using conventional debt, public/private incentives, and specialty products such as PACE. With expertise in both commercial real estate and the energy assessment process, Abacus is able to provide comprehensive solutions to their clients that maximize building performance and cash flow, driven from a completely independent perspective. ​ABE - Assets & Building Engineering, Lda. provides consultancy in Operational Management, Asset/Facilities Management, in all sectors (Industry, Commercial, Education, Health, Hospitality, etc. ), as well as specific technical audits (Energy, Environment, Maintenance, Costs , etc.). Engineering services is also one of our specialties, which together with the English certification BREEAM In-Use, ISO 50001, and BIM Technology (Building Information Modelling) allow us to make our projects even more complete and customized for each Client, thus increasing the VALUE of our Clients' business. ABM are experts in public and private finance and energy solutions, and are uniquely able to help overcome your budget challenges -- without increasing taxpayer burden, decreasing staff, or recovering other funds. They enable projects to be funded through a reallocation of current and future owning and operating costs, while maximizing energy efficiency and lowering overall annual costs. About Saving Heat is a top EE provider of residential and commercial retrofits with over 25,000 retrofits in our 40 years of business in Colorado and the Rocky Mountain region. Abrafo Negajoule provides tailored assistance for small and medium companies for the implementation of energy efficiency projects. We assist our clients in finding energy efficiency opportunities, carry out feasibility studies and understand the financial requirements in order to implement the projects, and carry out third-party measurement and verification. Abraxas Energy Consulting provides energy audits, retro-commissioning and Option C utility bill tracking software for clients on 5 continents. Abraxas was founded in 2001, is based in San Luis Obispo, California, and has about 20 employees. In the past 4 years Abraxas has provided energy audits, retro-commissioning and commissioning on over 40 million square feet and has found utility savings of over $11M. Abundance acts as intermediary providing long-term debt capital to infrastructure projects and regular capital and income to investors, small and large. To date Abundance has launched fund-raisings for 11 wind and solar projects for a total of £11m, letting individuals invest directly in projects of their choice from as little as £5. Coming next in 2015, are several projects in the efficiency arena for £4m immediately and £24m over the medium-term. Abundant Power is a financial services company focused on designing and delivering energy efficiency products and programs. We offer an innovative, no-cost services allowing building owners to transform their existing utility bill into a dividend-paying vehicle for financing a healthy, high performance property through energy savings metrics. Abundant also originates loans and administers utility and state sponsored EE loan programs, on-bill financing programs, Green Building programs and PACE (property assessed clean energy) districts. ACCO Engineered System's mission is to provide our customers with the most cost-effective mechanical systems for their facilities through the integration knowledge of engineering, construction, and service. Acuity Power Group is a consulting engineering firm providing owner representation in energy efficiency, renewables and energy storage. Based in Massachusetts, Acuity Power Group services clients throughout the Eastern United States. Acese a consortium organization with the ability to deliver all the components of an energy efficiency project – HVAC (active and passive measures), lighting, solar thermal and photovoltaic, co-generation. planning, financing and operation. ADAPT is a dynamic research centre that combines the world-class expertise of researchers at four universities (Trinity College Dublin, Dublin City University, University College Dublin and Dublin Institute of Technology) with that of its industry partners to produce ground-breaking digital content innovations. ADAPT is currently coordinating a coordination and support action which is examine the use of Linked Data to manage building data. ​Adelphi is a leading independent think tank and public policy consultancy on climate, energy, environment and development. Building on technical and sustainable financing expertise, adelphi supports both the public as well as the private sector worldwide in the design, implementation, promotion and evaluation of energy efficiency programmes and financing activities. Its successful track record in the field of energy efficiency ranges from developing innovative capacity building measures to establishing technical project evaluation methodologies and monitoring systems. AECB is a Not for Profit Membership Organisation representing c. 1400 design and construction industry professionals, trades and academics. Focusing on energy efficiency, closing the performance gap, new build and retrofit, materials, knowledge and skills. AECB subsidiary company is The Passivhaus Trust. ​Agenzia per l'energia del Friuli Venezia Giulia (APE FVG) is an energy management agency supporting sustainable development by means of energy efficiency and of renewable energy sources. AGUIRRE is a professional services corporation engaged in the business of Engineering, Architecture, Construction and Program Management. Founded in 1960, AGUIRRE has spent decades developing the experience, knowledge, skills and processes required to help our clients achieve their vision. First, we listen in order to and develop a clear understanding of the client’s requirements. Second, we design and identify concepts that support the client’s business plan. Third, we assist the client in the successful execution of the project. Our goal is to deliver services for the design and construction of projects that are functional, easy to build, friendly to use, and economical to own and operate. We are an extension of the client’s staff. We are results-oriented, and motivated by our “Can Do Spirit That Gets The Job Done”®. ARC Alternatives is a company formed to serve the clean energy consulting needs of the public sector, large institutional clients and school districts in California. We support energy efficiency, demand response and renewable energy programs. We provide owner’s representative services including energy engineering, auditing, energy program management, public sector procurement, and project management of traditional and design-build contracts. Our mission is to help our clients cost effectively achieve lasting energy savings and secure clean energy alternatives in pursuit of their critical business, environmental, and fiscal goals. Alert Energy is a data driven energy management firm. We utilize the existing data for commercial and industrial buildings to find energy savings opportunities and help building owners establish longer term energy management goals, targets and a workable plan. Allana Buick & Bers is a leading Architectural Engineering firm specializing in ‘making buildings perform better’ by making them energy efficient and longer lasting with lower operating cost. We provide expertise in exterior façade, roofing, waterproofing, building forensics, renewable/alternative energy, and energy efficiency consulting. Alternative Energy Systems Consulting, Inc. (AESC), founded in 1994, is an energy engineering practice that drives solutions in energy efficiency, renewable energy, and software for utilities, regulators, public entities and private enterprises throughout the United States. AESC combines technical excellence, Integrated Demand Side Management experience, and a broad skillset to provide a complete suite of engineering and management services. AESC’s 49-person team includes experts in energy efficiency engineering, distributed energy resources (DERs), measurement and verification (M&V), tool/software development, codes and standards, and demand response. With four offices in California (headquartered in Carlsbad, CA), an office in Portland, OR, and one in Charlotte, NC, AESC excels in maximizing opportunities at the intersection of utility supply and facility demand. Key clients include IOUs: Southern California Edison, Pacific Gas and Electric, San Diego Gas & Electric Southern California Gas Company and Duke Energy; Municipalities: Redding Electric Utility, Pasadena Water & Power, Sacramento Municipal Utility District, City of Los Angeles, and the City of Carlsbad as well as regulators and non-government entities: California Energy Commission, The Energy Coalition, Center for Sustainable Energy, and the Energy Trust of Oregon. Alpheon Energy integrates engineering, finance and operations for the purpose of developing or realising for customers on-site generation plants and energy efficiency investments in Europe. We have operations in the UK, Netherlands, Belgium and Germany. We prefer to be classified as an independent power producer or decentralised utility, but sometimes this model is referred to as an ESCO. Amago is an Engineering Company dedicated to Energy Efficiency in all it's aspects. From new projects to Existing Buildings and Industry. Energy, Water and Maintenance. Reducing Waste and complement with renewables with an integrated approach of all the consumptions. We have several Energy Performance Contracts working on Buildings and other being prepared. ﻿Amber Infrastructure is a leading international sponsor and manager of infrastructure focused on long-term, lower risk, cash flow generative investments. Amber has a long standing international reputation in the origination, development and management of specialist infrastructure. Ameresco, Inc. (NYSE:AMRC) is a leading energy efficiency and renewable energy solutions provider serving North America and the United Kingdom. Our energy experts deliver long-term customer value, environmental stewardship, and sustainability through energy efficiency services, alternative energy, supply management, and innovative facility renewal all with practical financial solutions. Amicus Engineering was formed to provide clients with a unique offering in the energy services marketplace. By combining an extensive experience in mechanical systems troubleshooting, building retro-commissioning, measurement and verification, and project development; we help clients select from our wide array of services at extremely cost-effective rates without limiting their choice of equipment or adversely affecting their project delivery process. We have extensive experience in developing, reviewing, implementing and revising measurement and verification plans for energy savings project, be they new, existing, or underperforming. Andrew Cooper CPEC is an Independent Property and Energy Consultancy specialising in Responsible Property Investment, Energy Management and Energy Strategy. A core part of its business involves helping landlords manage risk to real estate values and/or capitalise on opportunities as a result of sustainability. This includes the identification of energy efficiency retrofits, funding options, life cycle costing, life cycle assessment and the effect of this work on sustainable benchmarks such as the Energy Performance Certificate or BREEAM rating. AON - Aon plc (NYSE:AON) is a leading global professional services firm providing a broad range of risk, retirement and health solutions. Our 50,000 colleagues in 120 countries empower results for clients by using proprietary data and analytics to deliver insights that reduce volatility and improve performance. Our Innovation and Solutions group looks at alternative risk mechanisms, such weather perils and Internet of Things, both of which can be important to energy efficiency. Aon has access to a panel of over 18 Weather markets, utilising traditional and non-traditional capital offering bespoke parametric weather insurance solutions. In combination with long term insurance backed warranties, these solutions can protect investors from potential defaults and lower the cost of capital. APEA is a Portuguese non profitable Environmental NGO, with public utility status. We represent the Portuguese network of professionals working in the Environment sector. Our goal is to contribute to the progress of Environmental Engineering. We have about 2600 associates. In APEA we bring the Best Available Techniques and practices of the Environmental sector to the professionals and students. For that purpose we organize very frequently Advanced Seminars, Workshops and Technical Courses. APPII is a non profitable association established in 1991, which represents the most important companies acting in the Portuguese real estate development and investment market. APPII represents a unique point of contact in the real estate market in Portugal, as it is a privileged center for the exchange of ideas, experiences, knowledge and business contacts. Arquitectmed is a Portuguese company with ambition, always faithful to creativity combined with the quality and originality. It is an architectural firm focused on architecture and engineering with sustainability concerns. We work every day, all projects, always with fidelity to the achievement of success on all the projects in which we are involved. We call this, love of art! Architect for Life has the talent, skill set and expertise to add value to the deliverables necessary to fulfill sustainable opportunities with all of our projects. Our mission is to serve as premier sustainability and green technology experts who successfully develop and manage energy efficient strategies, programs, and projects to save operating costs and to contribute to the implementation of sustainable environments. In addition to our full-service architectural firm offerings,. Our capabilities also include retrofit strategies, benchmarking building energy performance, long-term energy management and water saving goals assessment, setting investment priorities, verifying & tracking progress, developing and maintaining energy portfolios, and energy program management as well as zero-net energy strategies. A. Ramalhão is a Portuguese service company operating in the area of energy efficiency and sustainability. The company has been operating for over 20 years carrying out energy audits for industry and buildings. AREAC - regional agency for energy and environment - is a non-profit association under private law, located in Miranda do Corvo, Coimbra, established in 2003 through the SAVE program. It was formed by various municipalities and a company (EDP Distribution). The scope of our work is to promote energy efficiency and environmental sustainability of their territories. ARUP is an independent firm of designers, planners, engineers, consultants, and technical, commercial and financial specialists offering a broad range of professional services. In the energy efficiency space, we advise owners, architects, ESCOs and others on potential opportunities and conduct feasibility studies that utilize in-house modeling capabilities to project savings and returns on investment. We also advise on the commercial structuring, financing, detailed design and delivery of efficiency projects. .ASL is a company strongly focused in the area of design and engineering consulting industry. Founded in 2006, bases its business strategy, in offering a global service engineering, in particular the advice and assistance to the Employer, the Development of Multidisciplinary Studies and Projects, as well as all the activities of the Surveillance and Construction Management, providing assistance in management and supervision of its construction. Asset Facilities Limited provides innovative finance and insurance solutions to companies and organizations looking for the most cost effective and efficient means to acquire assets without using precious cash resources. We specialise in providing funding solutions for energy efficiency projects combining the finance with an insurance policy to guarantee the projected financial savings. Asset+ are a team of industry recognised specialists who provide solutions that deliver reduced operational costs, increased fuel supply resilience whilst future proofing businesses and organisations for a Low Carbon economy. The Asset+ approach deliver’s an energy and carbon infrastructure upgrade that provides the best economic output for our clients. We do this by aggregating an eclectic mix of technologies that together provide the biggest impact in energy and carbon reduction whilst minimising whole life costs and maximising revenue generation. The Association for Energy Affordability is a leading provider of technical services for energy efficiency in buildings. AEA’s services include energy audits, modeling, project work scope and specification development, construction management, benchmarking and energy usage monitoring, and green building design services for high performance new construction. AEA is a not-for-profit organization with offices in New York and California. AtSite has over 20-years in real estate and facilities, we have a complete understanding of how buildings are designed, built and operated. To create, optimize, and maintain high performing buildings, we offer professional consulting and managed services in four key practice areas: Smart Building Technologies, Energy, Sustainability, and Integrated Buildings. Atelier is an architecture firm focused on passive house design and retrofitting with passive house components. I am a Certified Passive House Designer and also member of Passive House association of Romania. ​AuditGreen is a company that undertakes energy audits in buildings and industry. Axia Partners is an independent advisory and investment firm focused on accelerating the commercialisation of technologies, products and services that enable a decisive move towards a low carbon economy. We achieve added value for high growth companies (and their investors) in Clean Energy, Infrastructure and Real Estate by providing the financial and strategic fundament for growth as well as operational support and investment in the execution. BASE Foundation is a Swiss non-profit organization, and a UN Environment Programme Collaborating Centre, dedicated to mobilize finance and investment to energy efficiency and renewable energy. We support development banks, private banks, investors and governments (mainly in developing countries) to develop green credit lines and financial mechanisms with a strong focus in energy efficiency. BASE is a consulting engineering firm providing energy efficiency services to utilities, governments and private corporations. BASE has provided engineering services since 1987. Services include commercial and industrial comprehensive and targeted energy assessments, retro-commissioning (RCx), design review for energy efficiency, energy measurement and verification (EM&V), process and building energy simulation and evaluation of feasibility of cogeneration and alternative energy sources. 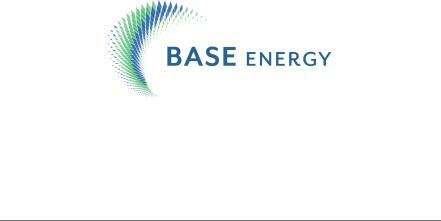 BASE also has extensive experience in training facility personnel and engineers in energy efficiency. Baumann Consulting has expertise in the commercial, institutional, educational, and industrial building sectors. Baumann’s services range from energy audits, feasibility studies and development and evaluation of design concepts, to commissioning, M&V, and monitoring of building performance and systems. Founded in Washington, D.C. in 2006, Baumann has grown into a transatlantic organization which in 2013 expanded its presence to Chicago and Frankfurt, Germany. As engineers, architects, planners and consultants, we are driven to elevate high-performance buildings from a niche segment of the market to the industry standard. Bay Efficiency develops energy savings investment projects for commercial buildings by conducting investment grade energy audits and providing turnkey implementation support. We show building owners how to realize increased profitability with low-risk, high-return investments in efficiency. Our knowledge of energy engineering, financial metrics, utility incentive programs and software development gives our clients more profitable and comfortable buildings. BE is a multi-disciplinary company involved in advising the commercial real estate sector on energy efficiency fit outs, energy reduction and energy and sustainability compliance. Bee offers clients the traditional mix of building energy engineering services. Engineering advice is our only product and is unbiased. We don’t sell designs or products. With 5 engineering Ph.D.s/Doctorates, 14 engineering Master’s degrees, and 11 Professional Engineer licenses in a technical staff of 25, we offer unparalleled technical depth. Bee is headquartered in Austin, Texas, but we serve a portfolio of clients across the US, Europe, and Asia. A number of our employees began their careers at the Energy Systems Lab of Texas A&M University. A Texas firm with a global reach, we are perfect for ICP Project Development/QA. BGBC is a non-profit NGO with public benefits, which aims at a more sustainable and efficient built-up environment in Bulgaria. The organization operates on multiple levels such as industry professionals, members of the scientific community, architects, students, politicians, etc. in order to employ and, at the same time, affect all those areas of expertise. The organization is rapidly growing in size and momentum and is well on the way of becoming the official authority in the field of sustainable construction and urban planning in Bulgaria. The Bulgarian GBC supports all efforts to foster a "lead market," sustainable construction, by developing a national certification system for high-performance buildings. BKi delivers sustainability solutions in energy efficiency, water conservation, alternative fuel transportation, and advanced power plants. Building on 30 years of energy consulting experience, BKi continues to pioneer and move innovations into use to tackle critical challenges of our modern world. The firm serves a broad range of governmental and utility clients at the federal, state, and local level offering expertise and thought leadership in large-scale program design and implementation, engineering-economic evaluations, new technology R&D and commercialization strategic planning, best practices benchmarking, and marketing communications. BlocPower creates micro-portfolios, or “blocs”, of shovel-ready clean energy projects and connects them to investors seeking social, environmental, and financial returns via an online marketplace. The company focuses on leveraging trends in 3rd party solar financing, crowd-based lending, “impact” investing, and financial engineering to solve the upfront project finance and access to capital challenges that traditionally prevent small businesses, non-profits, and multi-family homeowners in underserved communities from accessing the savings generated through clean energy retrofits. BluePath provides upfront financing for the installation of energy efficient technologies. We partner with energy services companies, efficient technology providers, installers and distributors to offer their customers turn-key financial solutions. Commercial, industrial, agricultural and municipal energy users are our target markets. Boa Energia is an energy services company, founded in 2012 by four entrepreneurs, providing a crowdfunding platform and energy services (specialising in solar power). In mid 2013 we applied with Citizenergy to the IEE program (and got funded, www.citizenergy.eu) and also created a renewable energy cooperative (www.coopernico.org), the first of its kind in Portugal, having so far raised almost 300k€ in 2 years. Bolder Energy is centered on energy efficiency services for buildings and is devoted to providing energy solutions to help small and large businesses, governments, and communities obtain a competitive advantage in a future of energy awareness. Our core business approach focuses on client-specific strategies to identify cost-effective energy-saving solutions, directing proper implementation, and ensuring persistence of energy savings. Building Owners & Managers Association (BOMA) International's mission is to advance a vibrant commercial real estate industry through advocacy, influence and knowledge thru a network of local, state, and international affiliates. BOMA developed the BOMA Energy Performance Contract (BEPC) toolkit, an industry vetted Performance Contracting Model that provides building owners and operators simplified methods and best practices for undertaking energy efficiency projects as a means for enhancing asset value by improving energy efficiency. BEPC uses a performance based contracting model that reduces risk so that capital investment to improve financial and environmental performance can be covered by the energy and operational savings created by those improvements. British Energy Efficiency Federation is a partnership of trade associations delivering energy efficiency products and services. Building and Energy Conservation Bureau (ESEB) promotes Energy Efficiency and the Energy Performance Contracting (EPC) Market in the Baltics and other Eastern Europe countries. ESEB was established in Latvia (2012) in view of the tremendous energy savings opportunities in Soviet Era buildings. In Latvia the residential inventory is over 50 Million sq. meters and has being steadily deteriorating, becoming insalubrious, and increasingly dangerous. As owners and governments do not have the necessary funding, Energy Efficiency must finance the deep renovations of buildings. ESEB proposes that EPC be combined with a Forfaiting facility to allow for substantial scale up. While providing warmer, healthier homes, the large-scale implementation of the EPC model would meet the EU’s goals for greater energy security and significantly improve the environment. The Buildings Performance Institute Europe (BPIE) is dedicated to improving the energy performance of buildings across Europe, and thereby helping to reduce CO2 emissions from the energy used by buildings. BPIE is a not-for-profit think tank with a focus on independent analysis and knowledge dissemination, supporting evidence-based policy making in the field of energy performance in buildings. Business Matters is a high level, strategic consulting firm for energy efficiency retrofits, commercial scale, including hotels. Building Sustainability Ltd (BSL) provides tools to large organisations in order for them to define and track energy conservation measures. Our target market has been Russell Group Universities and energy intensive laboratories. Our lead client is the University of Cambridge. Carbon and Energy Fund (CEF) was launched in 2011. The CEF is a co-creation with the NHS for the NHS and now the wider Public Sector and it delivers energy infrastructure upgrades on behalf of the Public Sector . The CEF has a track record of 40+ successful with a capital value of £200m of projects underway, it is the most efficient and robust procurement and advisory process in the UK. The CEF has access to a £200m plus of capital from Banks to Pension Funds. Carbon Lighthouse is on a mission to stop climate change by making it easy and profitable for building owners to eliminate carbon emissions caused by wasted energy. The company’s unique approach to Efficiency Production goes deep into buildings to uncover and continuously correct hidden inefficiencies that add up to meaningful financial value and carbon elimination that lasts. Since 2010, commercial real estate, educational, hospitality and industrial customers nationwide have chosen Carbon Lighthouse to enhance building comfort, increase net operating income and achieve their sustainability goals. For more information, visit http://www.carbonlighthouse.com. Carbon Minded is an energy and low-carbon consultancy based in London. We carry out climate change strategies, renewable and low carbon technology feasibility studies, carbon footprinting and energy audits for organisations of all shapes and sizes. We are CIBSE Low Carbon Consultants and ESOS Lead Assessors. California Energy Efficiency Industry Council is a statewide trade association of non-utility companies that provide energy efficiency services and products in California. Our member include implementation and evaluation experts, energy service companies, engineering and architecture firms, contractors, financing experts, workforce training entities, and manufacturers of energy efficiency products and equipment. The Efficiency Council’s mission is to support appropriate energy efficiency policies, programs, and technologies that create sustainable jobs and foster long-term economic growth, stable and reasonably priced energy infrastructures, and environmental improvement. 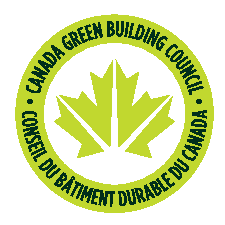 The Canada Green Building Council is a not-for-profit, national organization that has been working since 2002 to advance green building and sustainable community development practices in Canada. The CaGBC is the licence holder for the LEED green building rating system in Canada and supports the WELL Building Standard and GRESB (Global Real Estate Sustainability Benchmark) in Canada. Together with our membership of over 1,200 industry organizations and more than 2,500 individual Chapter members involved in designing, building and operating buildings, homes and communities, the Council has made excellent inroads toward achieving our mission of reducing the environmental impact of the built environment. Acting as the voice of the green building industry, the CaGBC advocates for green building policies with all levels of governments and the private sector across Canada. The Council has also educated over 45,000 green professionals to answer the demand for knowledge and jobs this new green marketplace created. As a result of this advocacy, education and the hard work of our members, thousands of commercial and government buildings, schools, homes, community centres and historical structures have been retrofitted or newly constructed to green building standards. Capital Review Group is a specialized national consulting firm combining facility engineering with tax accounting to maximize depreciation and paybacks on capital investments for our clients. We make it our business to stay current on federal tax incentives, IRS compliance regulations and more, creating lasting financial value and benefit for you. Caribbean Energies Group is a Design, Build Project Development firm consulting with regional government Ministries of Energy regarding commercial building energy efficiencies auditing, standards creation and advanced next generation energy technologies. Consolidated Electrical Distributor's Energy Division provides energy audits, financial/payback analysis, and lighting and equipment design for energy savings projects. We are one of the largest lighting distributors in the country which gives us access to thousands of led manufacturers directly so we can minimize costs, offer maximized savings, while offering the best solution for the end user. Celtic Energy is an independent energy and sustainability consulting firm founded in 2000 to help facility owners maximize energy and cost reductions while realizing productivity gains through smarter, more efficient energy use. Services include a vast array of efficiency focused offerings including but not limited to comprehensive energy audits, Celtic Energy's core skills include industry-leading measurement and verification (M&V) and quality control expertise. CES Energy provides financial and carbon savings to business by efficiently generating electricity, heating and cooling on-site rather than using conventional methods such as electricity from the grid and standard boilers or chillers. We generate our energy from both fossil fuel and renewable fuel sources. CES Energy has a proven track record in the successful delivery of cleaner energy in the Republic of Ireland, Northern Ireland, England, Saudi Arabia and Australia. Chandler LLC provides management for the development of real estate. Our focus is on energy efficiency, health and the environment to create high-performance buildings. Based on our experience, in 2010 we produced a white paper published by EDCMAG promoting a nationwide building energy retrofit program using PACE as a backbone. We have helped introduce the Connecticut C-PACE model and are a certified Connecticut C-PACE Project Developer. Cherokee Energy Management was founded in 2006 in Virginia Beach, VA, with the vision of being a small, expertly staffed, niche-oriented and woman-owned company helping large energy users such as government, business and education reduce their energy costs and carbon footprint. That vision has only sharpened over the years. ​Cimcavado is a Government Agency and Municipalities Association based in Portugal, interested in driving energy efficiency into Public buildings. cityservicesLAB aims at creating an integrated knowledge base and management system of spacial and territorial performance to serve the cities and organization stakeholders in improving competitiveness, efficiency and sustainability of the European territories and organizations. To that end, in cityservicesLAB we promote the concept of spatial business intelligence to ensure a meaningful set of performance indicators for decision makers. For the concept of spatial business intelligence different domains will be linked according to the system endogenous variables. CLEAResult is the largest company dedicated to providing energy efficiency and other demand-side management programs in North America. With over 2,700 staff serving over 900 active programs to over 300 utilities across 42 states and Canadian provinces, CLEAResult energy experts design and manage energy optimization services for customers in the residential, commercial, agricultural, industrial and institutional sectors. In 2015 alone, CLEAResult programs helped electric, gas, and water utilities and their customers save over 4,000 GWh and 65 million therms. Climatec has been making buildings safer, more comfortable and efficient since 1975. We are the leading provider of advanced building technologies and energy solutions for thousands of customers every day. Our dedication to delivering an extraordinary customer experience and world-class service has enabled us to become one of the largest privately-owned building technologies provider in the nation. CREARA was established in Spain in 2003 and has become a national and international household name in the provision of high value-added engineering and consulting services in sustainable energy. Creara operates in Spain, Europe and Latin America under four company divisions: Consulting, Engineering, Energy Management and Training. ​The Centre for Resources in Energy Efficiency and Climate Change (CREESC) is a nonprofit association founded in 2014 in Cluj-Napoca, Romania, with the purpose of supporting public and private entities in their efforts to advance energy efficiency policies, plans and investments and promote models of best practice for the integration of energy solutions. CO2logic is specialized in calculating, reducing and offsetting CO2 emissions. We guide and assist companies in identifying, reporting and implementing their sustainable development strategy. We provide expertise, experience and knowhow to companies who want to reduce their climate impact. We believe that reducing CO2 emissions has become a key element next to price, quality and service. CO2logic helps you gain this competitive advantage. Command Commissioning is an independent commissioning company made up of highly experienced, accredited engineers and technicians dedicated to sustainable building operations. Chosen most often by architects, owners, and developers, Command Commissioning guarantees advanced innovation and improved efficiencies to each client it serves. Simply put, we ensure what owners and managers want for their properties-creativity, energy efficiency and absolute assurance of performance on each and every project. We believe in utilizing the Technical Commissioning approach on projects to ensure building designs, installations, and efficiencies. CommEnergy is an EnergyStar Partner with hundreds of completed benchmarks and energy audits of commercial properties in California. The team of professionals, CEM and PE, can show you ways to comply with the new laws, increase productivity while decreasing your energy costs. CommEnergy provides full service energy efficiency upgrades via the benchmark, audit, development of ECMs and the execution of said measures with followup to ensure energy savings are reached without compromising comfort. Conectric provides the first complete building energy and demand control-as-a-Service for commercial hotel buildings, using our patented occupancy monitoring and advanced IP based building automation solution. CONFORFLUIDE was founded in 2003 and is a company specialized in Renewable Energies. Nowadays, standing out in the market for the commercialization and installation of top equipment in some business areas, in which it is framed like HVAC, Solar Energy (Photovoltaic and Thermal) and Swimming-pools. CONFORFLUIDE also participates in the development of energy efficiency projects through planning, financing and operation. It has been affirmed in the market with a sustained and regular growing. Connected Energy is a leader in delivering highly tailored energy and building management solutions. Our mission is to provide a seamless service to our customers to allow them to concentrate on their core business. We use the latest innovative technologies and engineering know-how to dramatically reduce our clients' energy footprint. Most of our customers experience 25% - 30% year-on-year energy savings whilst also improving climatic or production efficiencies at their site. Connecticut Green Bank leverages public and private funds to drive investment and scale up clean energy deployment in Connecticut. Connecticut Green Bank offers incentives and innovative low-cost financing to encourage homeowners, companies, municipalities, and other institutions to support renewable energy and energy efficiency. The mission of the Connecticut Green Bank is to support the Governor’s and legislature’s strategies to achieve cleaner, cheaper, and more reliable sources energy through clean energy finance. ContaWatt is an independent firm, specialising in the energy management and energy efficiency field, with more than 20 years of experience in conducting energy audits, preparing and monitoring the implementation of improvement plans, implementation of energy management programs, monitoring and verification plans and energy management training, in industrial and service sectors. Clean Fund specializes in property tax-based clean energy finance in order to bring property owners, energy service/equipment providers, mortgage lenders, and local governments together to realize projects that are profitable and green. Clean Fund to provide long-term, 100% financing that lets energy efficiency and renewable generation projects deliver compelling bottom line benefits from day one. CleanTech Leasing works with OEMs & IP Holders to find robust long-term finance solutions, by way of a collaborative approach, ensuring that whenever your customers want to buy your product, Finance, or the lack of it, will not be the reason for a lost opportunity. Carbon Clear is a provider of environmental sustainability services to large corporates. Assisting with carbon, water, energy and biodiversity related challenges. Climate Strategy is a consulting firm specialised in the strategies, markets and opportunities created by the need to combat climate change. Climate Strategy understands the interdependent relationships between Environment, Society, and Government and their roles in guiding the global transition to a low carbon economy. We help position companies at the forefront of this transition and increase their awareness and understanding of the related commercial challenges and opportunities. Energia em Conserva undertakes EPC, PV, and ESCO Projects. Engie are leading providers of integrated services - specialising in energy, technical, FM & business process solutions for the built environment. We offer efficient management of buildings and installations – whilst achieving high levels of energy & environmental efficiency. CO2 Estates Limited (“COE”) offers a SaaS platform enabling commercial real estate (“CRE”) to continuously improve energy performance and manage risk across large, dynamic property portfolios. A strengthening interrelation between energy efficiency and asset value is causing major CRE stakeholders to embed energy efficiency within their core business processes. COE enables CRE to measure and manage this risk for entire portfolios through a SaaS platform. Colmeia Technik is a project and Energy Efficiency company. Comat S.p.A. is an Italian ESCo and Facility Management organization focused on energy efficiency services to the building, tertiary and industry sectors. With the aim to deliver a sustainable competitive advantage to our Customer we support Energy Performance Contracting with guaranteed or shared saving. Our capabilities cover all value chain activities from energy audit, engineering, third party financing, construction, O&M, M&V reporting and the support to implementation of an energy management system. 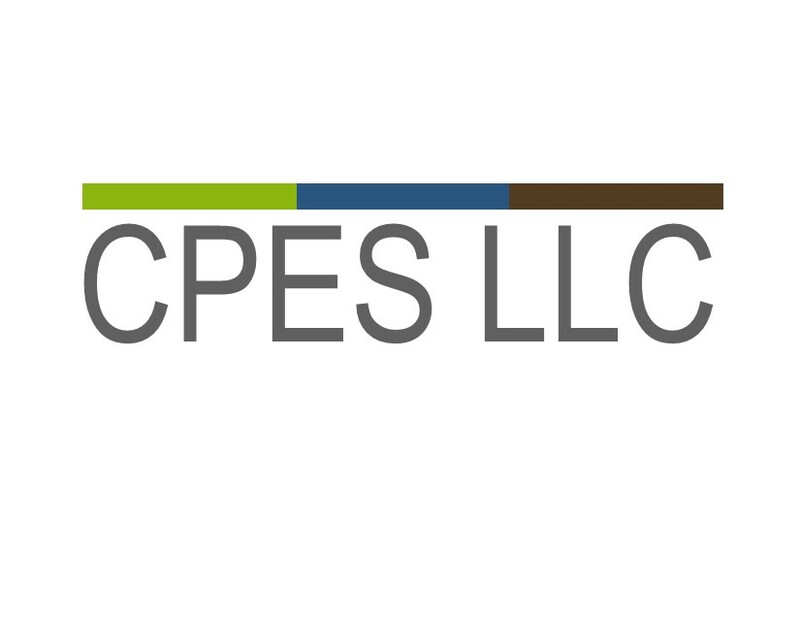 Commercial Property & Energy Services LLC (CPES LLC) - Leverages 25+ years of commercial office real estate experience and asset and operations management to develop comprehensive energy strategies that are far more than procurement plans, efficiency upgrades or sustainability projects. CPES specializes in the strategic energy management and sustainability for commercial office assets that create value for its customers’ strategic vision for their office portfolios or individual properties. CPG Consultants provides strategic solutions to achieve the sustainability, energy efficiency, and development goals for real estate developers and owner & operators of existing commercial and multi-family buildings. Overall, through our strategic advisory services we aim to add value that will enhance the market position and cash flow of a client's real estate asset(s). Creekwood Energy Partners (a Certified Minority Business Enterprise) provides energy management and consulting services for our clients. We partner with each client to “explore the possibilities” of reducing risks, costs, consumption and the release of harmful emissions. From commodity pricing and risk management (hedging) strategies to regulatory changes and new technology - Creekwood stays ahead of the curve for our clients. Croatia Green Building Council is a member of the World Green Building Council. Cut Power is an independent co-investor in sustainability & energy efficiency projects. As a European infrastructure provider we can support industry and realty owners with a off-balance-sheet model to fulfill the demands of IFRS 16 already. Cut Power also takes care of project development, full-service asset management and operations on a long term basis. Refinancing is arranged by the Energy Savings Bond (ESB). CVAL Innovations LLC is an energy efficiency design/build engineering firm consistently delivering 40-60% reduction in energy cost. Decarbon Capital specialises in providing investment for businesses and other organisations to lower energy consumption and costs. This boosts profitability and helps businesses remain as competitive as possible while reducing exposure to volatile energy costs. By being more energy efficient our clients find it easier to win and retain their customers by demonstrating tangible measures to lower footprints from lower energy consumption and wastage. 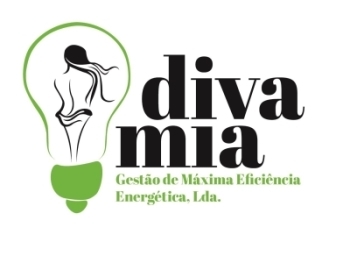 Divamia develops and commercializes eco-efficient technological solutions with high fitness for use and appropriate constant innovation to sustainable development of society through the promotion of efficient solutions. Furthermore, it offers to the customers consulting services, developing studies on energy sustainability and project applications, with its Community funding and state in order to put in place plans of the priorities for the Organization. ​DRAXIS Environmental S.A. – founded in 2000 and based in Thessaloniki, Greece – is a dynamic and socially responsible company, committed in providing custom-made state-of-the-art and standards-compliant technology solutions as well as consulting services in the fields of environment, agriculture and energy. Driver Trett has excelled at providing construction and engineering focused services since 1978. Today the Group has over 500 employees operating from offices across Africa, Americas, Asia Pacific, Europe, and the Middle East, making it a global leader in the commercial and contractual consultancy field. Driver Group plc is listed on the London Stock Exchange, Alternative Investment Market. Our expertise supports the delivery of major projects worldwide and bridges the gap between the technical, legal and financial sectors. Dunsky Energy Consulting supports our clients in the design, analysis, implementation and evaluation of energy efficiency and renewable energy programs and policies. Our clients include leading utilities, government agencies, private firms and non-profit organizations throughout North America. Dynamic Energy Management (DEM) is an energy management and engineering firm specializing in energy resource planning for municipal, commercial and industrial facilities. We offer a unique multi-facet progressional approach to energy management encompassing the development of an energy plan, the implementation of energy conservation measures (ECM), renewable energy production, and energy storage systems. Our software suite provides real time monitoring of energy loads, utility bill analytics, controls for lighting and HVAC, continuous measurement and verification (M&V) processes, and grid off-take oversight and management to maximize energy savings. E3 is a preferred design-build contractor in Texas, providing holistic facility solutions that reduce energy usage, create comfortable environments, and improve operational efficiency. Offering comprehensive solutions for facilities, their design and installation expertise is in HVAC System Replacements, LED Lighting Upgrades, Building Automation System Optimization and Commissioning, Energy Auditing, Water Conservation, and Performance Management Services that ensure ongoing efficient operation of facilities. The EP Systems Group's mission is to promote sustainable economic development through data collection, analysis, and information dissemination about the economic, fiscal, social and environmental consequences of private and public policy choices. In the energy efficiency arena, we work to appraise and demonstrate the cost-effectiveness of such investments to property owners, developers, and prospective financiers. EcoCosm helps commercial and industrial clients be more profitable. We use lean principles to root out energy waste in buildings and industrial plants, then deliver energy upgrades and renewable projects with long-lasting value. We are a team of fanatical engineers and seasoned builders who work together to craft turn-key solutions that fit our client’s building and their budget. When projects are complete, we verify performance to ensure savings grow their bottom line and the payback is real. EcoDistricts is propelling a new model of urban regeneration that ensures just, sustainable, resilient neighborhoods for all. EcoGreen Solutions is a Top Tier Energy Service Company in the Energy Efficiency market. As a Top Tier Energy Service Company (ESCO), EcoGreen Solutions provides the framework for successful energy conservation strategies in Industrial, Commercial, Municipal, and Retail applications. By combining 15+ years in the market, constant exposure to cutting edge energy efficiency products, and deep experience with utility and government financial incentives we have seen ROI’s range from 5 years to 6 months or less. Ecoinside is a Portuguese company specialising in eco-efficiency: energy, water and other resources savings. With more than 10 years of experience working as an auditor and eco-efficiency consultants, becoming an ESCO in 2013. Our projects include all type of equipment from lighting to industrial boilers or from photovoltaic plants to heat pumps. We work with public or private companies from the services sector to the industrial sector. At the moment we have performance contracts with Banks, Condos, Car parks and Food industry. Ecomerchant is an independent employee owned business which has been at the forefront of sustainability for over 15 years as a leading supplier of sustainable building materials. Based on the core values of ethical trading, healthy materials and sustainability, Ecomerchant have built up an excellent reputation as a provider of sustainable construction materials. Econoler is a world-renowned consulting firm specializing in the design, implementation, evaluation and financing of energy efficiency programs and projects. The firm also has experience in renewable energy, energy performance contracting, climate change mitigation and carbon financing. Economic Energy was founded in 1994 as energy management consultancy. We have undertaken many projects related to energy efficiency retrofit, including: Accredited Carbon Trust Consultant (identifying opportunities for large organisations), Accredited Carbon Trust Energy Efficiency Loan Scheme Consultant (advising on feasibility of energy efficiency projects) and Accredited Technical Advisor to Carbon and Energy Fund (public sector investments in energy efficiency from feasibility to handover. We have had detailed involvement of circa 400 energy efficiency retrofit projects. EcoProsperity Capital is a Sustainability , Clean Energy and Impact Investing-focused advisory as well as vehicle for principal investments. Ecosave reduces energy and water consumption through facility upgrades and ongoing energy management services. Ecosave reduces your risk by delivering fixed price turnkey upgrade projects and services with guaranteed savings. Often these upgrade projects are financed and owned by Ecosave, with the resulting services being provided as a true off-balance sheet operating cost. Ecosave aims for this service to be cash flow positive to your organization. ECrowd Invest is a debt crowdfunding platform for positive impact projects, like energy efficiency. E-Cube Energy develops tools and algorithms aimed at making Energy Efficiency Simple, Scale-bale and Sustainable. Our tools helps stakeholders leverage power of IoT and BigData to assess, report and manage Energy Performance in a way that is Faster, Better and Cheaper! E Cube is an engineering-based technical consulting firm specializing in building commissioning (Cx), energy efficiency, and performance optimization. We are one of a small number of independent commissioning firms in the nation, unaffiliated with any architectural, engineering design, or contracting firms. We have successfully commissioned over 800 diverse projects and over 200 LEED projects in the United States. Edificios Saudaveis the buildings sustainability specialists with unique characteristics and experience with 20 years of international activity (Portugal, Spain, Italy, Germany, Greece, Romania, Brazil) helping promoters and managers in the design, construction and operation of their buildings in a more sustainable way. EMCOR Services Mesa Energy Systems are licensed commercial HVAC contractors headquartered in Irvine, California, and offering HVAC maintenance and service, building automation systems (BAS) services, commercial refrigeration repair, and chiller services. Since our establishment in 1983, we have earned a reputation for providing value to our many satisfied customers through high-quality energy management and audit services as well as efficient, cost-effective, customized HVAC design/build and retrofit solutions. The recent demands of the marketplace have transformed us into an energy solutions company, assisting our customers in achieving optimal building energy performance and utilizing improved building and mechanical maintenance, ongoing retro commissioning, and favorable ROI energy retrofits. Mesa’s customized energy benchmark, energy savings assessment, commercial energy audit, and energy expert reports will give you a roadmap to future savings. ENACE (Energy Audit and Certification) is a Spanish non-profit organization representing building technicians (mainly architects and industrial engineers) with specific qualification in energy efficiency and savings. ENACE's aim is to create confidence in the green value of buildings by ensuring reliable information resulting from energy performance assessment. EnEffect (Center for Energy Efficiency) is a non-profit NGO based in Bulgaria, registered as a foundation in 1992. Its main activities include assistance to the central and local authorities in development and implementation of EE policies; capacity building; implementation of energy efficiency measures related to end energy consumption; communication campaigns; development, management and monitoring of demonstration projects; networking on national and regional level; management of the Bulgarian EE & RES Fund. Ener.co delivers innovative technologies to reduce capital expenses, operating costs, and environmental footprint in commercial and industrial buildings. Ener.co’s first product is a proprietary coating for HVAC condensers which improves the efficiency and extends the life of HVAC units by lowering energy, maintenance and other operating costs. Following treatment, Ener.co provides on-going, lifecycle HVAC condenser monitoring and management services to its customers, to ensure maximum performance of this important asset on a turnkey basis. ​Enerdura works with nineteen entities in the public, semi-public and private sectors in the region of Alta Estremadura, Portugal. The Agency's main objectives are to improve the energy efficiency in the region and in the local industry, to advise consumer and retailers about energy saving and energy friendly products, to reduce the atmosphere pollution and to disseminate the use of local renewable energy sources (RES), mainly solar energy, wind and biomass. ​Energest is an engineering & contracting company that focuses its activities in the conception, design, construction and assembly of equipment and industrial heating plants, for many different business areas. With extensive industry experience, supported by a multidisciplinary team of engineering, with high resolution capability and over 40 years of experience in Energy and Thermal Equipment, makes Energest a major player in these technology areas. ​Energineering Solutions focuses on industrial efficiency optimisation. Due to our ten year experience in plant auditing, energy & heat transfer data analysis and redesigning solutions, we succeed to unveil waste energy potential related to industrial processes or HVAC for large facilities and implement tailor-made solutions that efficiently recover energy from waste to useful profit. The solutions developed by Energineering team are not only technically holistic but also seriously considering the financial characteristics of the CAPEX & long term OPEX of the required investments, so they guarantee short payback period by ensuring optimum ROI. ​Energinvest is a leading European strategic consultancy company and project facilitator, specialized in the development, rollout and financing of building performance business models, energy efficiency performance programs, energy efficiency project aggregation and energy services market development programs. We help our customers (national, regional and local public authorities, public and private building owners, ESCOs, financial institutions, etc.) to turn their energy efficiency, climate and go-to-market ambitions into reality. Energy Efficiency in Industrial Processes (EEIP) is a free, neutral, and open, business & policy platform for industrial energy efficiency. At its core is the idea that energy efficiency is more than technology, and that market growth can be accelerated through information and best practice exchange. In practice, EEIP network members are coming from organisations of all sizes (from SMEs to multinationals), all industrial sectors (e.g. users, technology and services providers, finance, IT, consultancies, policy) and covering both, the supply and demand side. 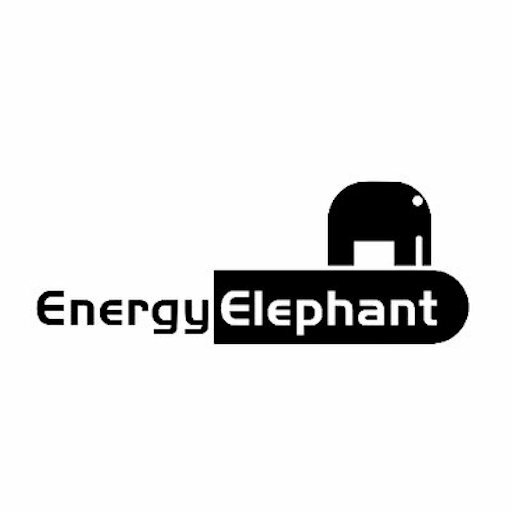 ​Energy Elephant Ltd is an SAAS Energy analytics provider for SMBs with energy spend of $10,000 or higher. We also provide tools for Energy Professionals/Organisations who manually process energy bills; and for Financial Controllers & Property Managers who want to quickly identify energy wastage. 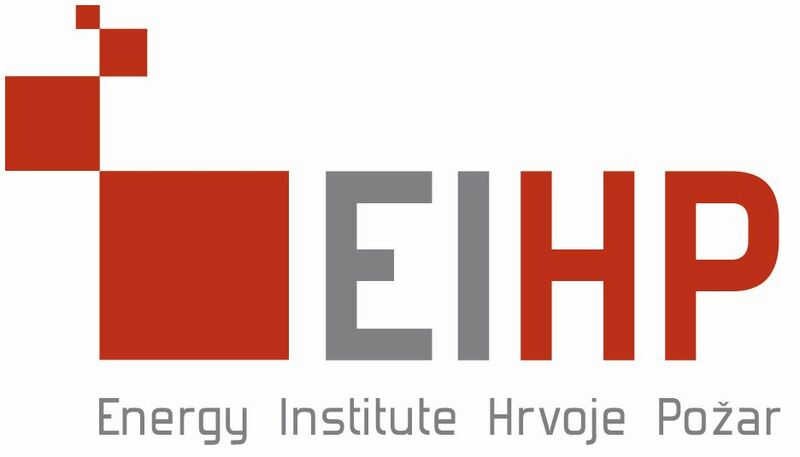 Energy Institute Hrvoje Požar is a wholly state-owned, non-profit scientific institution financed on a per-project basis through the execution of project development contracts won following international and national competitive biddings. The Institute’s areas of activity include: strategic planning in the energy sector; development of electric-power, gas, petroleum and heating systems; market, legal framework and restructuring of the energy sector; energy efficiency, renewable energy sources, environmental and climate protection; energy audits and certification of buildings; energy balances and statistics; in-service training and promotional activities. ​Energy Services Energy Services develop and implement sustainable energy management strategies for organisations across a range of sectors. We leverage energy data analytics, smart technology, expertise and insights to deliver demand side energy efficiencies and supply side renewable energy integration, helping our clients operate their business more efficiently and sustainably. EnerEfficiency is a spin-off from the University of Coimbra that began activities in September 2007 with the aim of helping companies improve sustainability in an increasingly competitive market both nationally and internationally. ​Engie UK are leading providers of integrated services - specialising in energy, technical, FM & business process solutions for the built environment. We offer efficient management of buildings and installations – whilst achieving high levels of energy & environmental efficiency. Energoprojekt - Katowice S.A. is one of the largest design and engineering companies in Europe. We established a strong position not only in the power sector but generally in the whole industry. Our success has solid foundations – intellectual capital, a synergy of our efficiency, potential and knowledge. We always emphasize the highest quality of our work, customer satisfaction and trust in our product, our reliability of a provider of technical specification and general contractor. ENERSOLAR is dedicated to the distribution, project and installation of solar products, both thermal and PV. And it is also a supplier of several energy services, including: energy audits, energy efficiency studies and performance contracts. ​EnvEcon provides evidence-based decision support to Government and business. The firm has broad thematic experience covering all sectors of the economy and specializes in economic and environmental policy analysis and design. E.ON is a major investor-owned energy supplier. At facilities across Europe, Russia, and North America, our more than 62,000 employees generated approx. EUR122.5 billion in sales in 2013. In addition, there are businesses in Brazil and Turkey we manage jointly with partners. E.ON’s diversified business consists of renewables, conventional and decentralized power generation, natural gas, energy trading, retail and distribution. We supply around 35 million customers with energy. With our broad energy mix we own about 61 GW generation capacity and we are one of the world's leading renewables companies. ESCOROM is a non-profit and non-political organization that aims at contributing to the achievement of national policy and energy efficiency strategy objectives. EEreports.com is the one-stop energy efficiency source for the latest breakthroughs in technologies, unbiased product reviews and project financing. Our management team brings decades of diverse experience in energy management, system integration, engineering, M&V, renewable energy, sustainability, financing and project development. Clients include: building owners, contractors, property management companies, engineers, architects, governments and utility companies. Elevate Energy’s mission is to deliver smarter energy use for all. Elevate Energy designs and implements efficiency programs that lower costs, protect the environment, and ensure the benefits of energy efficiency reach those who need them most. EMTEP specialises in HVAC projects making the future operation and maintenance as efficient as possible, at lower costs. To this end and throughout the useful life of a building, we developed a software tool (WattTEP) and a commitment to the customer, focused on planning and acting to achieve energy savings, always with continuous monitoring of the energetic consumptions. EMVC Solutions has been established as a platform to develop business opportunities in the emerging world of smart local energy systems - enabling integration of intermittent, local generation capacity; managing demand-reduction and demand-shifting across aggregated user groups; and reducing costs and reliance on carbon and capital intensive centralised generating supply. ENACT offers a Software-as-a-service platform for building energy services company, that reduces transaction costs and improves deal flow. ENACT’s platform leverages data from various sources (e.g. utility energy usage, geospatial data, OEMs, banks) to develop decision analytics and high-accuracy proposals on a mobile platform, that can be viewed live by multiple stakeholders. ENACT’s open B2B marketplace for financial institutions / OEMs to reach channel providers, creates a network effect and helps reduce installed costs. ENACT's platform is integrated with PACE financing sources like CaliforniaFIRST, as well as loans from several banks. Encentiv Energy partners with utilities, energy efficiency vendors, finance companies, and non-residential customers to maximize participation in energy efficiency programs. We consistently identify programs to connect available dollars to our customers’ new construction and renovation/retrofit projects. Our technology platform helps organizations of any size, from small family-owned businesses to the largest big box retailers, as well as manufacturers, universities, hospitals, municipalities and others in obtaining incentives, financing, and energy assessments. Encraft is an independent specialist consulting engineering firm focused on energy efficiency and micro-generation projects for buildings. We provide technical assurance and due diligence services for investors and also support clients and asset owners in developing and delivering low carbon building projects. The company has separate consulting practices in Building Physics (including Passivhaus) Distributed Energy, and Web Applications. We work on leading edge new build and refurbishment projects. Ener.co delivers innovative technologies to reduce capital expenses, operating costs, and environmental footprint in commercial and industrial buildings. Ener.co’s first product is a proprietary coating for HVAC condensers which improves the efficiency and extends the life of HVAC units by lowering energy, maintenance and other operating costs. Following treatment, Ener.co provides on-going, lifecycle HVAC condenser monitoring and management services to its customers, to ensure maximum performance of this important asset on a turnkey basis. Following Ener.co's treatment, energy efficiency is improved by 26%, and energy consumption is reduced by 16%, on average. A typical project payback is less than two years on energy savings alone. EnEffect, The Center for Energy Efficiency is a non-profit NGO, registered as a foundation in 1992. Its highly skilled professionals have proven experience in energy planning at municipal and national level and in development and application of energy efficient solutions in buildings and industrial systems in Bulgaria and abroad. Its main activities include assistance to the central and local authorities in development and implementation of EE policies; implementation of energy efficiency measures related to end energy consumption; communication campaigns; development, management and monitoring of demonstration projects; networking on national and regional level; management of the Bulgarian EE & RES Fund. Eneractive Solutions, an Edison Energy Company, is an independent, full service energy consulting, engineering, and project development firm specializing in the analysis, design, development, and installation of energy efficiency projects, building system optimization projects, and power generation solutions for optimization and environmental control. ENERACTIVE brings real energy savings and performance enhancement to clients both nationwide and internationally. Additionally, as an Edison Energy Company we combine our deep experience and focus in energy services with Edison’s financial scale, stability and unparalleled leadership, delivering a genuinely unique combination of advantages to our customers. Eneractive is able to deliver projects that feature a distinct blend of entrepreneurial creativity and nimbleness along with the financial stability of a Fortune 500 company. Enerdigm Efficiency Capital focuses on the US energy services sector, providing debt and equity financing for projects including lighting retrofits, HVAC upgrades, other energy conservation measures and clean energy projects. We have a specific focus on the commercial and industrial segment but also provide capital to projects to Governmental opportunities. Our projects can be anywhere in the USA typically on projects between $1-$10 Million in size. Energi is a Peabody, Massachusetts based Industrial Reinsurance Company that specialize in providing risk management and insurance solutions to over 1,000 energy companies in the United States and Canada. Energi is one of the top ten fastest growing companies in Massachusetts. Energi, along with its dedicated claims management company, has over 250 associates in the United States with 125 associates located in the corporate headquarters. Energi has also developed innovative products that deliver protections for alternative energy and energy efficiency projects. Energi has been selected by the Boston Globe, Boston Business Journal and Business Insurance as one of the Top Places to Work in 2012, 2013, 2014 and 2015. Energinvest is a leading European strategic consultancy company and project facilitator, specialized in the development, rollout and financing of building performance business models, energy efficiency performance programs, energy efficiency project aggregation and energy services market development programs. We help our customers (national, regional and local public authorities, public and private building owners, ESCOs, financial institutions, etc.) to turn their energy efficiency, climate and go-to-market ambitions into reality. Energy Industries Corporation (EIC) is an energy efficiency integrator founded in 1994 and based in Hawaii, EIC operates in California, Washington, Idaho, Oregon, Hawaii and Guam. Our four divisions, Thermal, Lighting, Solar and Capital, deliver comprehensive energy solutions that reduce operating costs and generate long term savings. EIC was previously named Hawaiian Electric’s Trade Ally of the Year and received seven awards from Pacific Gas and Electric for its energy efficiency work in California. Energy Pace Finance has developed a nationwide finance approach to help property owners lower operating costs and access lower cost of capital with virtually no money down for energy efficiency and renewable energy upgrades. We work closely with our financial source(s), property owner(s), equipment and software providers, and municipalities to ease the process and create a turn-key solution. We arrange for Pace, Construction, Loans, and Leases as needed. EnergyPro is an advisory firm focused on raising finance for energy efficiency and clean tech projects and companies. We advise public and private sector clients, providing project development and program management services, structuring contracts, deploying finance where required and driving the development of the secondary market. Our team includes world-class experts in energy efficiency and financial structuring, along with public and commercial sector leaders and former senior UK government officials. Energy-Wise are an independent energy management consultancy service, carrying out energy, environmental and quality audits, renewable energy feasibility studies and building energy ratings for large multinational and public sector organisations. Enerit develops software which provides complete coverage of ISO 50001 that is also complementary to energy monitoring software. Enerit ISO 50001 software is used by companies who simply want to save energy and also by those who wish to certify in a fast and risk-free way. Enerit software is delivered worldwide to large energy users. We have partners worldwide who act as introducers, implementers or resellers. Our ISO 50001 software is used widely in industry (e.g. automotive, paper, healthcare, plastics, food & drink) and in public and private sector buildings (such as airports, universities, hospitals & banks). Enertika is a leading Spanish Engineering company active in integrating the design, installation, operation and sale of Energy Solutions - Efficiency, Storage, Generation and Remote Management. The company is currently operating in European and LATAM Markets with main focus on sectors such as Smart Cities, Manufacturing Industries, Telecommunication & Services. EEVS Insight (Energy Efficiency Verification Specialists) is the UK's leading provider of IPMVP-based performance analysis and verification services for any sustainability project, product, service or investment. EEVS' team is composed of expert energy analysts and industry specialists with a thorough understanding of how energy and resource efficiency projects affect a building's performance and behaviour. Energaia (Porto, Portugal) is an Energy Management Agency, responsible for designing, implementing and monitoring Sustainable Energy Action Plans in 6 different cities. EnergyMac has a goal of increasing the adoption and awareness of Energy Efficiency and Renewable Energy technology while creating a secondary market and promote liquidity and stability, where new and existing Renewable Energy and Energy Efficiency financing's are purchased, sold and actively traded. EnergyDeck is an Internet of Things platform that captures the entire range of energy, resource and environmental data in the built environment. Users benefit from highly flexible data management, automatic performance benchmarking and effective stakeholder engagement, all delivered through a powerful and intuitive web interface. EnergyDeck addresses the main challenges for building owners, occupiers and managers arising from limited data accessibility, poor data quality, lack of performance insights, and low visibility on financial returns of improvement measures. Energy General has provided independent energy efficiency (EE) services to thousands of building owners since 1975. Owner and energy engineer Tom R. Strumolo is currently working with industry partners to retrofit large numbers of commercial properties, faster than at any time in the past 4 decades. We comply with ICP Energy Performance Protocols and are technology and software neutral. Our proven energy audit procedures quickly put the right amount of engineering into any building, while our strategic partnerships help keep these soft costs low. Energy Industries Corporation (EIC) is a premier energy efficiency integrator. Founded in 1994 and based in Hawaii, EIC operates in Hawaii and California. Our four divisions, Thermal, Lighting, Solar and Capital, deliver comprehensive energy solutions that reduce operating costs and generate long term savings. EIC was previously named Hawaiian Electric’s Trade Ally of the Year and received seven awards from Pacific Gas and Electric for its energy efficiency work in California. Energy Points provides Source Energy Analytics software that enables organizations to maximize the energy and financial payback of energy efficiency, distributed energy, and water conservation initiatives. It is the only energy management solution that quantifies and analyzes source energy—measuring electricity, water, fuels, and materials from the source through the site of consumption, while accounting for resource scarcity and environmental impact. ERI is an energy engineering consulting firm with offices in Oakland, CA and Salt Lake City, UT. We identify, analyze, quantify, and verify savings for energy projects with the end goal of ensuring that process, operational, and energy cost savings are realized. We help our customers achieve their goals by providing these services with a clear, direct, actionable approach. ERI staff are trained to be not just experts in energy engineering, but well-rounded in financial and operational capacities also. Our goal is to provide high caliber engineering work for our customers and assist them in making educated business decisions that benefit their systems, equipment, and overall processes. Energy-Serv SRL was set-up in 1996 and it is the first private Romanian ESCO-type company. The mission of the company is to contribute to GHG (Green House Gas) emission reduction through better energy efficiency / decrease of specific fossil fuel consumptions, efficient use and promotion of renewable energy sources and technologies. Energy Solutions’ primary areas of expertise are in energy management and alternative and renewable energy sources. We provide a range of services from energy audits and recommendation of energy saving projects to feasibility studies for alternative energy sources and detailed design and project management services. Energy Solutions has particular experience in energy auditing and energy management and has been involved in the development of template energy management systems for industry and businesses based on the company’s experience of energy auditing and energy management. Energy Solutions is a professional and engineering services firm whose mission is to create large-scale environmental impacts by providing market-based, cost-effective energy, carbon, and water management solutions to our utility, government and commercial customers. With nearly 100 employees working on clean energy policies, programs, and projects at our offices in Oakland, CA; Orange, CA; Portland, OR; and Boston, MA; we are differentiated by our innovation, value, quality, and reliability of impacts. Enovity is a firm of engineers who operate, maintain, and optimize facilities to assure higher performance places. We believe that individuals and organizations deserve to live and work in environments that afford greater prosperity. Driven by client objectives and aspirations, we deliver practical solutions for energy efficiency, commissioning, and facilities engineering to create sustainable environments where people and organizations prosper. Enovo Energy is a financial and new market development advisory firm, whose mission is to accelerate investments in energy efficiency projects in order to reduce energy consumption as a means to combat climate change, create sustainable American jobs, increase our national energy security and stimulate local economies. Enovo' Energy's f0cus is on commercial, industrial, governmental, non-profit, utility & developmental agencies. Enovo Energy provides the expertise to identify and structure energy efficiency financing programs. These programs are designed to provide building owners with cost-effective alternatives to using their own capital for the purchase and installation of energy efficiency improvements. ETS is an Engineering consultancy firm. We work with multiple global organisations to support and help achieve their corporate sustainability objectives, save both CAPEX and OPEX, act as knowledge sharing platform. We have 12 consulting engineers, with a wide variety of in house competencies ranging from chartered engineer low carbon consultants, to refrigeration and BMS specialists. Europe Regional Network of the World Green Building Council consists of over 30 national European Green Building Councils, working in collaboration with more than 5,000 members across Europe, which represent the full breadth of diverse stakeholders in the buildings sector. Green Building Councils are not-for-profit, member-based organisations that are driving the transformation of buildings, communities and users’ behaviour towards sustainability. WorldGBC is a coalition of more than 100 national GBCs around the world, making it the largest international organisation influencing the green building marketplace. European Association of Energy Service Companies (eu.ESCO) represents Energy Service Companies offering Energy Performance Contracting vis‐à‐vis European Institutions, other relevant European Stakeholders, Member States and public authorities. eu.ESCO provides best practices and knowledge sharing to drive standardisation and to accelerate Energy Performance Contracting (EPC) use. Eutectics Consulting is a mission-oriented for-profit that facilitates financing for building-scale energy improvements, ranging from deep energy efficiency upgrades to rooftop solar systems. We work with a network of committed capital providers to build both large capital pools and individualized financing solutions for specific projects, emphasizes community-based solutions that match local capital providers with larger-scale global capital. Evaporcool is patented, clean-energy technology that reduces the peak-energy demand and energy costs of your air-cooled HVAC equipment. Memphis-based Evaporcool is the market leader in evaporative condenser pre-cooling for commercial HVAC-R units. The system has helped hundreds of Fortune 500, mid-sized, and small companies reduce their HVAC-R energy usage. ​E2 provide learning and networking opportunities specifically in the area of energy efficiency for industry. The E2 insight hub hosts articles, reports, interviews and case studies, and the E2 conferences provide face-to-face learning and networking. ​E4S - Efficiency for Sustainability is an energy consultancy and engineering company that works with the public and private sectors in the process of reaching the maximum efficiency in the use of energy. Factor4 is an ESCo ('energy service company') and EPC-facilitator ('energy performance contracting') specialising in realising comfort, energy efficiency and renewable energy in existing non-residential buildings, industrial plants and apartment buildings. It’s services include energy and comfort audits, cost-benefit analysis, engineering of energy saving measures and facilitation of EPC-projects. The Falcon Group, a team of highly-skilled professionals, offers full-service engineering, architectural, energy consulting, funding plans, litigation support and interior design services to Community Associations, Commercial Buildings, High-Rises, Hospitality Facilities, and Healthcare Facilities. Our Energy Division’s expertise comes from the knowledge and experience of its engineering experts specializing in energy systems for new and existing buildings. Our projects are executed using Certified Energy Managers, Professional Engineers, Certified Building Commissioning Professionals, and LEED Accredited Professionals. First Sustainable is focused on developing the first, truly scalable, market based financial solution to build and aggregate large scale, commercial, energy/water efficiency retrofit projects in the U.S., and ultimately, overseas. Flywheel is an international energy management company headquartered in the USA. Dedicated to elevating building performance across owner portfolios, they are unique in combining high-tech software solutions and high-touch expertise, together with capital to deliver sustained savings. The nearly 100 Flywheel employees share a passion in helping customers lower their energy and operating expense, reduce their environmental impact, and enhance occupant satisfaction. FS Energy, LLC, is the energy management and advisory subsidiary of FirstService Corporation. FS Energy takes a unique, holistic approach to energy management by applying state-of-the-art data analysis to evaluate a property’s energy consumption. 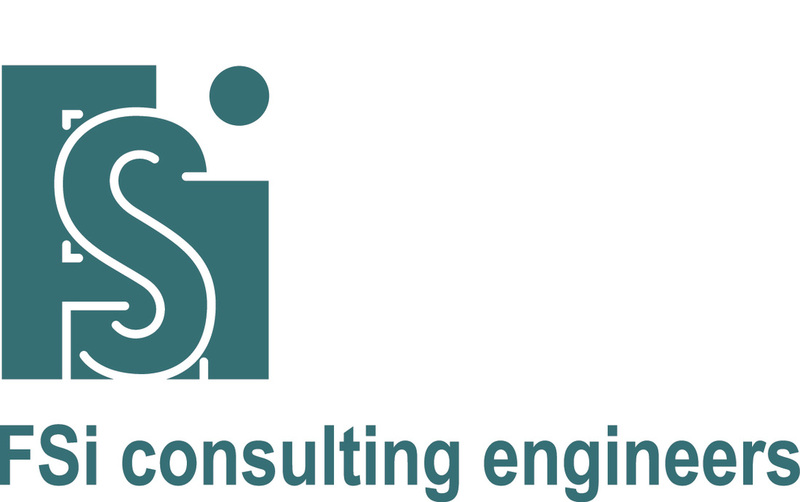 FSi consulting engineers is a mechanical engineering and energy analysis firm founded in 1985. We are the prime consultant for the majority of our work, so we understand the big picture and know what it takes to make a project successful. We are flexible designers and project managers, interested in what you want and committed to finding the solution that works best to meet your goals. As problem solvers by nature, we enjoy projects that require a unique solution – whether it’s a first-of-its-kind industrial process, or incorporating mechanical upgrades into an existing building. Most of all, we enjoy what we do, and bring enthusiasm to each of our projects. Funding for Future is an alternative fund manager with a sole function: Forfaiting Receivables arising from EPC. The firm will do so using a stakeholder platform delivering standardized documentation through formalized online processes. The same platform will aggregate data for sharing information publicly. FutureFit is an energy efficiency consultancy helping organisations to understand their energy consumption better through training and education. We also help those same organisations finance investment for retrofit. GDS Associates, Inc.: (GDS) is a multi-service consulting and engineering firm formed in 1986 and now employs a staff of more than 170 in seven locations across the U.S., including a 20-person northeast region office located in Manchester, New Hampshire that provides diagnostic testing and information on energy efficiency and renewable options to homeowners, businesses and local government/institutions throughout the region. Our consultants are recognized leaders in their respective fields, dedicated to their clients, innovative in their approach to meeting unique challenges, and known for consistently being available when needed. Our broad range of expertise focuses on clients associated with, or affected by, electric, gas, water and wastewater utilities. In addition, we offer information technology, market research, and statistical services to a diverse client base. ​Gexpro, formerly GE Supply and now a part of the Rexel Group, is a full line electrical distributor with core values tied around Energy Efficiency and Renewable Energy solutions. Our capabilities are focused around lighting/control solutions, HVAC ECM motors, building automation and solar PV. We have over 80 branches throughout the U.S. that consistently drive energy efficiency practices in their marketplace. GeoCapita is a FCA reg Mutual engaged in development of renewable energy, energy efficiency and environmental protection projects. ​GEP Environmental is a highly experienced energy management and engineering consultancy, specialising in sustainable design, building performance analysis, project identification, project engineering, energy savings measurement and verification, funding & finance and energy and environmental compliance services. Ginsberg Integrated Sustainability will identify obstacles to your organization's growth and provide tailored solutions with a particular emphasis on sustainability. Glumac is a full service MEP consulting engineering firm with a focus on high performance and sustainable building design. greenCrowd specialises in identifying, assembling, standardising and showcasing robust and commercially sound sustainable energy and wastewater projects. Through the services that we provide, greenCrowd’s aim is to ensure that projects attract the right form of funding from its funding partners. Our expertise in finance spans conception through to construction and refinance, whilst covering all financial aspects such as financial modelling and commercial contracts such as Power Purchase Agreements. We work both at project and policy level advising governments from Latin America, Africa and Europe. Our mission is also a social one, with a focus on developing local capacity and expertise through the building of long-term partnerships. Green Investors is a specialist in financing energy efficiencies and renewable energy. Together with businesses we lower their energy consumption and structure high yield investments for either the owners or external investors. We also work as part of ESCOs and on a project-by-project basis with local utilities and municipalities. Greenbacker Group is a private management company is developing a platform to fund, own and operate a wide variety of renewable energy, energy efficiency and sustainability projects. Greenbacker provides developers, corporations, government agencies and others with the resources to build projects that will save money, create jobs, limit greenhouse gases, and provide compelling and predictable returns to investors. Greenwood Energy develops and operate DG and utility scale solar installations in the US, Europe and Latin America. Experience with various renewable technologies and over 400mw built. Based in NYC and San Diego. Green Living, LLC is a leading early adopter (2006) of the United States Green Building Council’s (USGBC) LEED products. Proficient in alternative green building programs such as Austin Energy Green Building (AEGB) and CALgreen Title 24 (California). Green Living LLC’s expertise ranges from general “Green” design support, all aspects of mechanical, electric, plumbing (MEP) credit over-site, construction adherence to the LEED goals, Energy Modelling Services, to the building commissioning, Retro-Commissioning and Measurement and Verification. We are a multi-national firm, thus grounding us in a flexible, integrated approach to sustainability by providing tailored solutions. Green Living, LLC’s team of experienced LEED-accredited architects, engineers and analysts has been extremely successful in achieving ‘green’ and ‘energy efficient’ goals in a cost-effective manner. Green Living, LLC ensures effective partnerships with architects, developers, building owners, government, government contractors, and engineers, to achieve goals in the rapidly evolving Green Building market. Green Property Funds (GPF) offers innovative real estate investment and consulting solutions designed to deliver superior financial and environmental returns. GPF's unique investment model provides opportunities for everyday investors to participate in innovative local projects. Invest with your values. Green Value Associates (GVA) Ltd is a management and advisory services boutique focusing on commercial real estate retrofits and energy efficiency investments. GVA is also advising on sustainable cities, energy efficiency financing and related policy strategies. The firm works closely with investors, financiers, cities and policy makers. It operates as a collaborative professional network of independent subject-matter experts. Green World is a company that directs all its professional activity to the technological segments of Energy and Telecommunications, having as main objective the creation of a strong Partnership relation with its clients. The high quality standards pursued, together with a flexible management structure and national coverage, have allowed Green World to achieve the market recognition. Our major clients include national and multinational companies of reference. Go Parity acts as intermediary, providing loans to promoters of infrastructure projects and regular capital and income to investors. Parity is fund-raising its first solar project, letting individuals invest directly as little as €50. Coming next are several projects in the efficiency arena. HARC, a 501(c)(3) organization incorporated as Houston Advanced Research Center, is a research hub providing independent analysis on energy, air, and water issues to people seeking scientific answers. Specific to energy, we have an energy efficiency and renewable energy group that focuses on technology validation, energy program development for utilities, strategic energy management for the public sector and energy efficiency and renewable energy regulatory and policy research. Haglid Engineering's mission is to provide excellent indoor environmental quality in buildings and homes for very little or no energy cost. We do this with sustainable and high efficiency energy products and engineering. 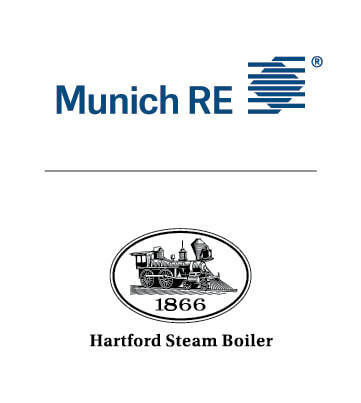 Hartford Steam Boiler (HSB), part of Munich Re's Risk Solutions, is a leading engineering and technical risk insurer providing equipment breakdown insurance, other specialty coverages, related inspection services and engineering consulting. HSB's specialty energy products cover energy efficiency, solar PV, CHP/cogen, energy storage, biomass, fuel cell, and weather exposures. HCS Group Inc. is a Houston based company providing energy efficiency services to utilities, governments and private corporations that have power and thermal needs within their facilities to improve the economics of plants and facilities. With personnel, having extensive experience in specific fields such as environmental, electrical, process designs and detail engineering HCS has provided comprehensive energy assessments, design review for energy efficiency, energy process simulation, engineering design and construction management for projects around the world. HCS has also provided services to clients involving renewable energy sources such as landfill and digester gas fuel for power generation, high pressure letdown power generation and waste heat recovery using traditional and cutting edge technologies. HCS was also the engineering firm for the first LEED Platinum rated buildings in the City of Houston. In addition to providing services HCS offers the option of owning and operating equipment for qualified clients. Healthy Buildings, incorporated in 1980, is a leading indoor air quality, water, energy, LEED and sustainability consulting firm with offices in the metropolitan areas of Washington DC, New York, Los Angeles, San Diego, and San Francisco. Our core purpose is to make buildings and the organizations that operate them more valuable. We work with building owners and managers to optimize environments, increase operating efficiencies and lower risks. The result is a more sustainable building and an improved bottom line for our clients. We do this with hands-on inspections of building systems, detailed reporting and world-class communications. Heritage Institute of Sustainability was established with the mission of providing sustainable business solutions to today's business challenges. We specialize in the three tiers of sustainability. We have a licensed PE on staff. Energy, MEP, Strategic Planning, Process Improvement, and Training are company services offered. Home Energy Analytics provides cloud based software that analyzes smart meter data. Our analysis allows homeowners, renters, utilities, performance contractors and other interested parties to quickly and accurately measure home performance and identify areas of wasted energy, without the added cost of a visit. HUB International’s energy efficiency team members have provided consultative risk management services and cutting-edge insurance products influenced by ICP protocols to the underserved energy efficiency industry, both Across the U.S. and now internationally. We combine our historic perspective with an innovative attitude to assist, program administrators, project sponsors, or capital providers with risk transfer and insurance solutions to address the risks and uncertainty of attaining expected project performance. Huber Dixon Insurance Services Ltd is an independent broker with access to all markets, specialising in providing unique solutions to the Energy Efficiency, Cleantech and Renewable Technology industries. Specifically we offer Energy Efficiency Insurance, an off balance sheet finance solution for Energy Performance Contracting and is designed for investors in Energy Conservation Measures (ECM's), Energy Service Companies (ESCO's), Property Owners, Tenants and the specialist funders who support this industry. The benefit of this insurance is to remove the liability for the savings guarantee from the respective balance sheet and provide comfort to either the funder or customer that if any issues arise they will not have to rely on the balance sheet of the contractor who's financial profile may have changed over the period of the contract. Iconergy is a full service energy engineering firm that offers a large array of solutions in an innovative way. Our staff possess an average of 14 years of experience providing professional energy engineering services to both public and private sector clients. Iconergy provides commissioning services (Cx, RCx, MBCx), controls design, utility monitoring solutions, energy performance contracting and sustainability consulting services. We customize our energy solutions to meet the unique requirements of each project we work on, and have helped resolve energy waste and comfort issues in both large and small buildings for a wide variety of industries. IES has provided design, engineering and construction for our clients including our Facility Energy Solutions approach since 1988, . IES is USGBC accredited and certified in green building design, construction and operations. Our highly trained and skilled IN HOUSE employees operate as members of our customers’ teams, from job dedicated Project Managers, Estimators, Registered Professional Engineers and construction crews to Certified Energy Managers, LEED and CLEP Professionals. IES was the first California company to be awarded the MSCA Green Star Certification and has also received Energy awards from the United States Senate. Indice is a consultancy, training and ICT services organisation. Infinitas Design is a renewable energy system design and development company with a focus on medium to large size biomass and water source heat pump systems. We provide engineering services to multiple clients including energy bill analysis, site surveys, renewable heat feasibility studies, concept and detail design, finance options and non-domestic RHI applications. The majority of our work is in the retrofit commercial and industrial sectors. The Institute for Building Technology and Safety (IBTS) has been a leading provider of Investment Grade Quality Assurance services to public and private sector clients for the past 35 years. As a non-profit organization, it is our goal to provide services to our private and government partners to ensure reliability, production and safety of installed systems, increase local jurisdiction and utility responsiveness, and provide overall support to enhance the renewable energy industry growth. Instituto Electrotécnico Português (IEP – Portuguese Electrotechnical Institute) was established on the 28th September 1981. It is a nonprofit, private Entity, declared of Public Utility on the 17th October 1992. Our Services: Inspections Consultancy and Audits; Testing and Calibration; Training and Certification. Institute for Market Transformation (IMT) is a Washington, DC-based nonprofit organization promoting energy efficiency, green building and environmental protection in the United States and abroad. IMT's work addresses market failures that inhibit investment in energy efficiency and sustainability in the building sector. The Intermunicipal Community of Leiria Region (CIMRL) is a non-profit association of public municipalities, with administrative and financial autonomy , and whose work is aimed at integrated and sustainable development projects and activities of common interest to the municipalities, contributing to the competitiveness, cohesion and economies of scale of the interventions of the territory. IMPIC - Instituto dos Mercados Públicos, do Imobiliário e da Construção - Public body responsible for the regulation of construction, real estate and public procurement in Portugal. Integra is a consultancy and integrated management of investiment projects for the public and private sectors. Integrated Environmental Solutions (IES) is a global innovator of integrated 3D sustainable analysis – for the measurable creation and management of efficient, healthy and affordable built-environments. Our technology and consulting services support smarter energy-efficient choices across new building investments, building operation and refurbishment of existing buildings, uncovering hidden cost savings. ​​The Irish Green Building Council is the leading authority on sustainable building in Ireland. With a network of over 80 member organisations, the IGBC is working to transform the Irish construction and property sector into a global leader in quality and sustainability. IGBC provides BREEAM, LEED and other green building education programs in Ireland. As part of the Build Upon project, the IGBC is working to develop an ambitious National Renovation Strategy v.2 for Ireland. IRT provide energy audits with quantified thermal images enabling impartial cost efficient, benchmarking, roadmapping and policing of retrofits. Imaging helps engage the end client, compel action, increase uptake, educate the audience, drives change in behaviour and speeds up the sales cycle for all parties. Unique software highlights quick wins and enables client driven upgrades that coincide with lease events and maintenance schedules. Isgreen light is an “easy to install, easy to use” wireless distributed intelligence unmanned lighting system based on proprietary space usability analysis algorithms. The target are large industrial and logistics facilities with focus on rack warehouses. ISR-University of Coimbra (ISR-UC) was founded in 1992 together with two other university sites in IST-Lisbon Technical University and FEUP- Porto School of Engineering, with the global purpose of setting up a first class multi-disciplinary research team, able to carry out leading edge interdisciplinary research in several important areas of science and technology, to improve the quality of life and for sustainable development. ISR-UC is a research and technological transfer institute associated with the University of Coimbra, which has participated in and coordinated several EU projects in the area of energy efficiency, decentralised generation and RES, both in buildings and industry. ​ISQ provide solutions for clients in all sectors, to ensure that their assets and products comply with environmental, quality, health and safety standards and regulations. Founded in 1965, ISQ is a private and independent company providing inspection, testing, training and technical consultancy. iVEES Independent Verifiers are leading M&V experts in the UK, developing International Standards on Measurement and Verification, and Energy Savings Calculations in projects. iVEES provides training, M&V Plan development, savings reporting, independent M&V Plan verification, and project management expertise to bit public and private sector clients in the UK. JB&B has successfully completed more than 14,000 design projects in more than 30 countries and on six continents for corporate owners, institutions and real estate developers as well as city, state and federal agencies in its hundred years of practice. Our extensive expertise and reputation for quality and innovative engineering solutions are elements that we bring to each project. Based in New York City, JB&Bâ€™s 250 employees use cutting-edge engineering technologies to facilitate high-performance building designs for ever-improving engineering and sustainability solutions. Joule Assets delivers financing solutions backed by performance insurance guarantees for energy efficiency (EE) and demand response (DR) initiatives and projects, and we create Energy Reduction Assets (ERAs) through integrating simple financing and insurance options with untapped revenue streams. Leveraging our proprietary ERA software and unparalleled industry expertise, our mission is to expand commerce and reduce barriers in these complicated markets through creating transparency as well as connecting participants. The Jordan Institute is a New Hampshire-based 501c3 non-profit organization focused on energy efficiency and renewable energy. We advocate for effective and innovative public-policy and market-based solutions which reduce the need for fossil fuels used in commercial buildings. In 2013, we launched a for-profit subsidiary, Resilient Buildings Group, Inc., which is majority owned by the non-profit. RBG handles energy-centric projects - energy audits, building commissioning, construction management, energy monitoring and verification, LEED consulting and certification, and owner advocacy. After successfully shepherding HB532, the C-PACE bill, through NH's legislature, Jordan Institute is committed to assuming a leadership position in the administration of a C-PACE program. Keeping PACE in Texas is a non-partisan, non-profit organization that assembled a Texas coalition to help get the Property Assessed Clean Energy Act (the PACE Act) enacted in Texas on June 14, 2013. The PACE Act authorizes municipalities and counties in Texas to work with private sector lenders and property owners to finance qualified improvements using contractual assessments voluntarily imposed on the property by its owner. The coalition led by Keeping PACE in Texas designed ”PACE in a Box” – a uniform, user-friendly, sustainable and scalable turnkey program to assist local governments in establishing and implementing PACE programs. The coalition is working with local governments to implement the PACE in a Box model program on a regional basis. Kingspan is a global leader in high performance insulation, building fabric, and solar integrated building envelopes. Kingspan delivers high efficiency, low cost & low carbon building solutions across a broad range of market sectors. KlimaProtect is dedicated to develop innovative insurance products for the fields of energy efficiency and renewable energies to satisfy the needs of the market. Kloud Engineering is an independent company of engineers and consultants working across the energy sectors. In terms of energy efficiency services, we specialise in energy surveys, development of energy management systems, program management and energy management training, for the manufacturing, process and service sectors. We are committed to diversity and business practice innovation. ​Koncept21 was established in Spain in 2006. It's an engineering consulting services, specialising in the energy management and energy efficiency field, in conducting energy audits, preparing and monitoring the implementation of improvement plans, implementation of energy management programs in industrial and service sectors. KEA is an energy agency facilitating EE and RE within the implementation of regional climate protections strategy's 4 sectors: development of grant programmes, biofuels/energy, climate protection strategies, energy services facilitation. In energy services facilitation major activities include: leading in EPC facilitation, leading in EPC market development, research in business models, financing mechanisms for EE and especially Deep energy retrofit DER. kW Engineering provides energy engineering and implementation services within the energy efficiency and renewable energy industries. We identify and implement well-engineered projects that save energy and improve the bottom line for our clients. As an independent firm, kW specializes in reliable, cost-effective, and innovative strategies for reducing resource consumption in commercial, institutional, and industrial facilities. kWIQly (named for powerful intelligence fast) uses scalable pattern recognition to deliver reliable repeatable diagnostics based on energy meter data or building control system data. kWIQly is completely agnostic regarding source of data, and delivery channel. Using our technology we can identify plant, controls or behavioural problems in buildings and model impact of change. As this can be done at scale and remotely, it is ideal for project planning (eg during EPC tenders) or for high level efficiency resource planning. LA Better Buildings Challenge is a public private partnership with a mission to reduce energy consumption 20% by 2020 across 30 million square feet of existing LA buildings. The LABBC offers a range of incentives and services to support participating properties in achieving this goal, from project development assistance, to rebate support and introduction of project financing options. The principles of the Investor Confidence Project are core to the LABBC, and form the basis for all of our project development and technical underwriting work. LANCE Capital provides financing for energy efficiency projects structured as an Energy Service Agreement (ESA) and with Investment Grade credit of the off-taker we are able to offer off-balance sheet 100% debt financing at a fixed rate as low as 4.5% for 25 years. Domestically and International. Lavery/Pennell helps companies to become more profitable and sustainable. As strategic advisors, we assist companies to identify and deliver big improvements in financial performance which also have social and environmental benefits. We look beyond conventional approaches to find additional value, for example in new products & business models, non-labour resource efficiency (including remanufacturing, circular resource use, energy efficiency, waste reduction, transport efficiency and packaging optimisation), collaboration with suppliers to improve their efficiency and share savings, risk reduction and cleaner technologies. Lenders Commercial Finance is a privately owned and funded commercial finance working with small businesses across California and neighboring states. We also provide short term project financing for energy efficiency and renewable energy projects. LewLew is an energy management consulting firm. Through our strong network partnerships and our passion for innovative energy solutions we have established end-to-end capabilities across the entire energy spectrum. As an Energy Management firm, we partner with our clients to deliver solutions to reduce their energy costs. Our goal is to help make their business as efficient and profitable as possible. Lightenjin was founded in 2006 and focuses its activity in Light Design Consulting, both for interior and exterior lighting projects. Its proximity to the most reputable design and architecture offices allowed Lightenjin to work on iconic and prestigious lighting projects. With the technological evolution of lighting controls Lightenjin has expanded its area of operation to the control systems projects to continue at the forefront of lighting technology, using electronic equipment and software to increase energy efficiency in buildings and in the public lighting sector. LightPro Software provides an integrated tool set of ExpertWare to enable lighting professionals to manage a rapidly changing, information intensive, complex and challenging lighting industry. LightPro allows its users to keep up with new lighting technologies, intricate control schemes, regulatory burdens, tax incentive and finance paperwork by automating and integrating these processes into a singular platform from audit to completion. Lincus provides innovative energy efficiency solutions to a client base that spans the commercial, industrial, governmental, utility, and design communities. Lincus professional services include Strategic Energy Planning, Customized Project Reviews and Analysis, Energy Simulation, ASHRAE Audits, Performance Contract Evaluation and Support, Retro-commissioning (RCx), Evaluation Monitoring and Verification, New Construction Reviews and Compliance, Demand Response Audits, and evaluation of renewable energy systems. Lincus is also accredited by California Air Resource Board for AB 32 GHG verification services. Livolt provides MEP design, energy efficiency consulting, M&V, energy modeling, and design-building services for energy and mechanical projects. Magnetik Value provides a full-service engineering and project development for renewable energy and sustainability buildings technologies. Founded since 1995, in Oporto, Portugal, provides expertise in low carbon and energy management consultancy and develops solutions to industrial and commercial customers. Manens-Tifs is a consulting company, specialising in the field of engineering and project management for the building sector with special focus on sustainability and energy issues. Our company provides services ranging from feasibility studies to design, divided into different stages (concept, preliminary, detailed), to site and project management. Manens-Tifs ranks among the top Italian consulting engineering companies and has several relevant projects going on in the Gulf area and North Africa. The company has two main offices in Italy : Padova and Verona, and an operative office near Venice. Masterplan is a consultancy for sustainability and energy efficiency management in buildings. Masterplan focuses on creating increased real estate value through their business concept of “Sustainable Value Engineering”. This sustainable concept applies principles in real estate economics, architecture and ecology. Masterplan is accredited in several international building certification schemes (LEED, BREEAM, DGNB) and offers specialized analyses, research and project management services for green building owners and investors to lower running costs and increase real estate value in buildings. M-Core™ Credit is the oldest and most experienced lender to energy savings and energy retrofit projects in the multifamily and commercial segments, having financed energy savings and sustainable energy related projects since the 1990’s. M&E Engineers has been on the cutting edge of technology and innovation for over 30 years and has grown to become one of the most recognized and sought after mechanical and electrical engineering consulting firms in the Mid Atlantic region. Providing a full range of engineering, design, and advisory services for HVAC, electrical, plumbing, and fire protection systems, M&E Engineers is also proficient in commissioning, energy modeling, energy auditing, and LEED consulting. With a diverse client base that includes Fortune 100 firms, private owners, educational institutions, and state, county, and local governments, M&E Engineers has built a depth of understanding of energy use and conservation measures unsurpassed by most of the engineering firms in the industry. Medesco is an Energy Services Company in Greece providing comprehensive energy efficiency technologies, solutions and services for corporate, institutional or private business owners. We leverage new green technologies in order to offer a range of scalable, cost-effective, and easy to deploy integrated solutions. Meridian Energy Group is a developer and funder of energy efficiency retrofit projects for medium sized businesses and their facilities. We install energy-saving solutions that address the biggest opportunities for improvement to their facilities. These projects are paid for with the verifiable energy savings derived through the project and clients realize substantially reduced costs, improved facilities, increased building values with no upfront investment, personal guarantees, or risk. Metrus Energy provides capital, project development and asset management services for energy efficiency projects at large commercial, industrial and institutional facilities. Metrus offers comprehensive project financing solutions, including its innovative Efficiency Services Agreement (ESA), whereby customer repayment is based on a cost per avoided unit of realized energy savings. MGD Energy SA is an Energy Services Company based on Greece and provides energy services in existing buildings. Energy services that MGD Energy SA provides are: Energy audit, Energy Efficiency upgrades (design, equipment supply, construction), Energy monitoring, Building Maintenance. Michaels Energy provides technical services for utility programs and energy end users. Services include analysis and calculations of energy savings and incentives for large commercial and industrial custom measures; industrial efficiency and process optimization; retrocommissioning services including investigation, analysis, control sequences, functional performance testing and bill tracking; large commercial and industrial energy retrofit studies; impact evaluation for utility and state energy programs; new construction design assistance for commercial and industrial end users; LEED consulting including process facilitation, energy optimization and modeling, systems design, and commissioning. Microgrid Energy is a Clean Energy Service Company (CESCO) with a focus on Commercial & Industrial buildings. Our services are aimed at cutting energy costs, leading to increased building value and higher operating income. Our work typically includes energy modeling, project design & construction, and project financing. Microgrid has a solar division which completes a high volume of solar PV projects annually. Mission Markets is unlocking the full potential of capital markets by integrating community and shared values to create a sustainable economy. We provide the technology and expertise to connect investors to mission-focused organizations. Our market supports a broad range of financial products from donations to debt and equity investments. Mission Markets provides investors access to a variety of sustainable and impact investment opportunities. MJM Energy Consulting specializing at the intersection of clean energy and finance. Develop loan and leasing products for homeowners, commercial entities, non-profits and multi-family owners. Involved with public entities and private capital. Areas include PV, EE, geothermal and solar thermal. Firm is an advisor to NREL for its "Banking on Solar Initiative." and works with a range of i PACE capital providers and program administrators. Morton Gestalt, LLC, is currently an independent consultant operating under a sole proprietorship, we are in the process of incorporating. We currently provide engineering consulting and energy modeling services and are in the process of creating an online platform for energy model tracking. MPW is a Germany based consulting firm with MPW Institute LLC being the U.S. based research and development branch. MPW is helping ESCOs in Europe since 1996 to enter the market by providing tax, legal, strategic consulting services. MPW is an active member in all major associations in Germany and promotes energy efficiency through various endeavors. Mynt Systems was founded with the idea of building a company that could provide turnkey energy efficiency projects. Our goal was to simplify the design and financing of the projects to help increase project implementation. Our integrated approach removes all the guesswork and the footwork from the equation by combining assessment, engineering, design and implementation into one package that is easy to understand, financially appealing and ecologically responsible. Newcomb Anderson McCormick has provided energy engineering and program management services to utilities, government agencies, and private sector clients since 1983. The firm has long been recognized as a leading technical advisor in energy efficiency and clean generation. We have analyzed, developed and managed energy projects in over 25,000 buildings. Our past and current clients are realizing over $300 million in annual energy savings. Northeast Energy Efficiency Partnership's (NEEP) mission is to serve the Northeast and Mid-Atlantic to accelerate energy efficiency in the building sector through public policy, program strategies and education. Founded in 1996 as a non-profit, our vision is that the region will fully embrace energy efficiency as a cornerstone of sustainable energy policy to help achieve a cleaner environment and a more reliable and affordable energy system. Nexos Resource Partners develops and invests in commercial energy efficiency projects, focusing on energy-intensive sectors including food distribution and sales. Nexus EnviroEnergy's mission is to improve the fulfillment, cost and reach of energy savings programs by connecting best of class technologies and contractors to investment-ready projects. NJPACE is a 501c3 NJ nonprofit dedicated to educating municipalities, property owners, energy contractors, lenders, investors, and the public regarding PACE, and providing administrative services to support the implementation of the NJPACE program across the state of New Jersey. NE Nomisma Energia is an independent research company that deals with energy and environmental issues, committed to understand their short and long-term trends. We work closely with public institutions and private industries with the aim of keeping a close look of the latest developments related to low carbon policies and technologies, energy efficiency, climate finance, environmental markets and sustainable ways of producing and consuming energy. Nuuka Solutions is based in Finland and employs 8 people at present. There are some 120 people involved in the Nuuka partner network. Nuuka provides Nuuka software service. It is a building information system concentrating on improving the energy efficiency, indoor air quality and HVAC process performance of the buildings. It provides also international grade sustainability reporting compatible with GRESB and GRI. Nuno Strothmann & Ribeiro are designers, contractors and maintenance providers in HVAC activities. An ESCO company with energy efficiency projects including refrigeration systems, design and installation. NYCEEC is an independent, non-profit financial corporation established by New York City to assist the City in implementing its Greener, Greater Buildings Plan and to advance the goals of PlaNYC. NYCEEC’s mission is to support the City’s energy and climate action goals by catalyzing an energy efficiency retrofit financing market for private building owners. To achieve its mission, NYCEEC is partnering with banks, community development financial institutions and energy services companies to provide financing products for energy efficiency and clean heat improvements in buildings throughout the five boroughs of New York City. OpTerra Energy Services (OpTerra) is an energy efficiency company dedicated to delivering real impact, real savings, and real incentives. We specialize in comprehensive turnkey efficiency solutions for commercial & industrial organizations, designing our projects with cost savings, offset capital expenditure, sustainability, safety, increased business performance, and positive environmental impact in mind. As the energy services subsidiary of Engie North America, the world’s largest power producer and its number one supplier of energy efficiency services, OpTerra is proud to have saved our customers more than $2 billion in the past 10 years alone. Opus is a corporate finance advisory business providing independent, strategic and creative advice primarily to businesses in the UK and European mid-market. We have a range of clients involved in developing and operating energy efficiency projects, and provide a spectrum of fund raising, M&A and strategic advice to these clients. Open Energy Efficiency provides enterprise quality, open source, advanced analytics solutions to critical challenges faced by energy sector actors. The core of the platform is based on the Open EE Meter which gathers data on energy performance and efficiency measures to calculate savings and enable data analytics for a host of use cases, from contractor feedback to utility procurement. The Open Energy Efficiency product suite includes advanced tools for savings opportunity identification and targeting, adaptive customer outreach, automated measurement and verification, and enhanced reporting. PACE Equity enables buildings owners and contractors to implement commercial PACE projects. We provide project governance, energy engineering support, and financial resources that allow building owners to repurpose energy dollars into building equity investments. The company works in both local markets and with national energy service companies. PACENow is an independent, non-profit advocate for Property Assessed Clean Energy, an innovative mechanism for financing energy efficiency upgrades to buildings. We promote and assist the development of PACE programs, work to foster best practices, guidelines and standards for PACE, and provide leadership for a growing universe of energy efficiency and PACE stakeholders. Pacific Gas and Electric Company, incorporated in California in 1905, is one of the largest combination natural gas and electric utilities in the United States. Based in San Francisco, the company is a subsidiary of PG&E Corporation. There are approximately 20,000 employees who carry out Pacific Gas and Electric Company's primary business—the transmission and delivery of energy. The company provides natural gas and electric service to approximately 16 million people throughout a 70,000-square-mile service area in northern and central California. Pacific Gas and Electric Company and other utilities in the state are regulated by the California Public Utilities Commission. The CPUC was created by the state Legislature in 1911. Partner Energy staff is dedicated to providing high quality services with integrity. We aim to provide all of our clients with personalized service and outstanding work products. Partner Energy provides services for every aspect of a buildingâ€™s life cycle from New Construction to Existing Buildings. Pepco Energy Services designs and builds energy savings projects with written performance guarantees. Scope includes on-site distributed generation, HVAC and central plants, electrical systems, lighting and retro-commissioning of energy and comfort systems. Also own and operate energy systems to supply low-cost energy to end users. PECI is a nonprofit corporation dedicated to creating the new energy economy. We are leaders in the field of energy resource management, with expertise in designing and implementing energy efficiency programs for utility and government agency clients. Our work helps millions of residential, commercial and industrial utility customers reliably save energy and money. We were founded in 1979 in Portland, Oregon and currently work with clients nationwide. Petros PACE Finance, LLC is a private lender focused specifically on the commercial PACE financing market. PL Energy was founded in 2008 by Glen LaPalme who has served as a manager and technical reviewer of over 500 commercial, industrial and agricultural incentive projects for PG&E’s Custom Retrofit and Third Party Programs. This does not include a similar volume of technical review experience when employed by other consulting firms in the 10 years prior to 2008. Quality assurance experience includes conducting site inspections, reviewing project baselines, evaluating savings calculations, specifying M&V requirements, monitoring end-use equipment (pre and post), and assessing program policy compliance. Areas of experience include lighting, chillers, pumps, cooling towers, boiler systems, fan systems, compressed air systems, laboratories, datacenters, industrial refrigeration, and chemical and food processing facilities. Plus Ultra Asset Management GmbH (“PUAM”) is an independent asset management firm established in 2010 and based in Munich. PUAM manages environmental assets linked to carbon emissions, energy efficiency measures, renewable energy generation and biodiversity conservation. PUAM has a particular and proven expertise in carbon and energy efficiency finance. Polish Green Building Council (PLGBC) is a non-for-profit organization dedicated to promote sustainable design, construction and operations in the entire Poland. PLGBC aims to positively influence the Polish construction industry by promoting and implementing the rule of triple responsibility: environmental, social and economic. We intend to transform the design, construction and operations of buildings in the entire country for the overall benefit of all residents as well as all participants of the construction process. Porto Vivo is a public company, established in 2004, with the purpose of promoting the rehabilitation and reconversion of the built heritage of downtown Porto, including the historical city centre and the urban sprawl of the 19th century, an area of 10.7 km2, with 16,898 buildings (55% of which need rehabilitation) and 49,951 dwellings, for a total of 71,494 inhabitants, according to 2011 Census data. Its five main strategic objectives are: re-housing of Porto downtown; business development and promotion of Porto downtown; commerce revitalisation; development of tourism, culture and leisure; public space improvement. Portuguese Technology Platform for Construction (PTPC) is a nonprofitable association that brings together as partners key stakeholders from the construction sector in Portugal. PTPC’s mission is the implementation of Research, Development and Innovation (R&DI) projects and initiatives that increase the competitiveness of the construction sector in Portugal. Posterity Group provides energy-related advisory and analytical support to utilities, building owners/operators, governments, and regulatory bodies. Based in Ottawa, Canada, our work encompasses the full suite of energy demand management services including energy auditing, DSM program design, measurement & verification, and program evaluation. We were founded on the idea that advisory services should be collaborative and personal, and that they should be driven by a desire to achieve meaningful results for our clients, while applying our skills for the greater good. Every day, we combine the deep energy management expertise of our staff with an innovative spirit and a can-do attitude and apply them to these goals. Power TakeOff provides energy intelligence for utilities’ non-residential customers by empowering them with a real-time, interval level understanding of facility operations from which they can implement and verify cost savings from energy efficiency and conservation measures. Energy consultant partners leverage our SaaS platform to build long-term customer relationships, find cost saving opportunities, verify savings, and repeat the cycle with their customers. Princeton Engineering Services delivers a broad range of design and consulting engineering, construction management, and facilities management services to a wide variety of public and private clients. The firms key personnel possess experience ranging from ten to thirty years and have experience working for clients such as ConEdison, Reliant Power, Pfizer, Bristol Myers Squibb, Merck, Proctor & Gamble, and AT&T. Our services have been utilized on projects ranging from minor additions and renovations to major facilities and complexes. We serve both public and private sectors including commercial, educational, historical, institutional, recreational, religious and residential projects. Our diverse background makes us well educated in complicated building codes and ASHRAE & NFPA standards. Our experience will ensure that your project will run smoothly through this complicated maze with little or no delay. Procifisc is an engineering and architecture company, working in Portuguese speaking countries in project design, efficiency certification, work surveillance and security coordination. ​Prof. Engº. Vasco Peixoto de Freitas, Lda., was founded in 1993 and is located in the city of Porto, Portugal. The company provides consulting services and design engineering in the fields of buildings rehabilitation, hygrothermal behavior, energy efficiency in buildings, building pathology, building ventilation and acoustics. Project Economics works with North American utilities and energy retailers to identify compelling cases for distributed generation and on-bill financing. Upon identifying them, we provide an implementation vehicle to execute those opportunities in ways that create new revenue, mitigate risk, and improve competitive position. Proven Force Indonesia is a national leader in productivity and efficiency solutions across all industry and commercial sectors since 2003. The range of PFI products, services and solutions primarily involve productivity, efficiency, performance and human resource development, training and outsourcing. PFI is expanding its business model to include energy, water and carbon efficiency products, services and solutions in a variety of industrial, commercial, residential, and government market segments with expertise in equipment, materials, systems, tools and financing that optimize cost savings in primary work areas. PU Europe is the European association representing the PUR / PIR (polyiso) thermal insulation industry. Headquartered in Brussels (Belgium), the association's membership includes twelve national trade associations and most major raw suppliers. PUR / PIR is the high-performance insulant particularly suited for the construction and renovation of low- and zero-energy buildings. Thanks to its low thermal conductivity, PUR /PIR enables equal energy savings at lower building element thicknesses. Its high mechanical resistance and light weight allow for the use of flat roofs, for example by installing PV panels, without additional measures. ​​QES (Quality Energy Solutions) is offering a technology-based innovation service to both, companies (SMEs) and public institutions. Its mission is to contribute to the competitiveness and the technological progress of the companies via capacity building. Together with the capacities, the QES model furthermore aims for knowledge/technology transfer in the manufacturing sector to promote energy and material efficiency. The trainings are conducted by the in-house team supported by industries experts, mostly from the national and international network of collaborators with great experience in energy efficiency and renewable energies technologies. QuEST is CA-certified small and minority-owned business that provides a broad range of utility energy efficiency program management and energy project installation services—including energy audits and commissioning; retrofit installation; sustainability solutions, and climate action planning; as well as capital-improvement benefit and cost analysis and performance monitoring systems. 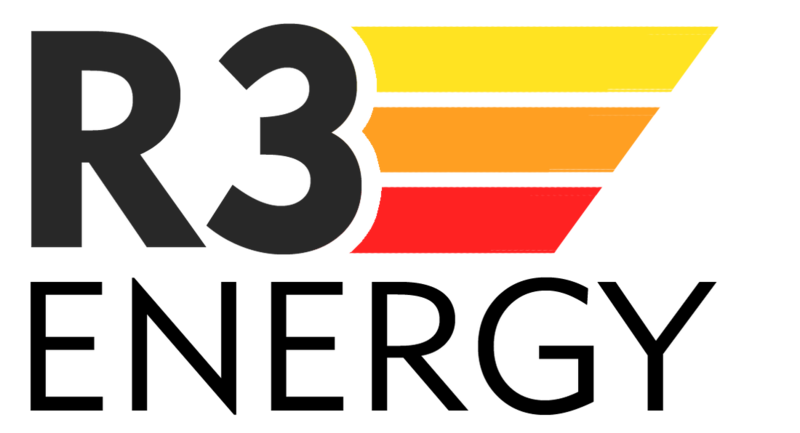 R3 Energy Management Audit & Review LLC has specialized in energy efficiency management for buildings since 1997. R3 Energy is built on a team of CEM, MFBAs, EITs, EBCP, PE, and LEED accredited professionals. We have the energy engineering expertise to provide energy cost-saving solutions to commercial, multi-family, educational, senior care, industrial, and hospitality building portfolios. Our valued services include: Building Audits, Energy Modeling, Energy Procurement Assistance, Building Commissioning & Retro-Commissioning, Renewable Studies, and Sustainability Consulting. Radiator Labs is a NYC based hardware start-up converting old cast-iron radiators into precision heating machines. Through an easy-to-install, patented technology, Radiator Labs adds climate control, operational efficiency and safety to any radiator, transforming steam heat into a comfortable and efficient solution. RACIUS ENGENHARIA came up with the aim of meeting the growing demand for sustainable solutions, particularly in the areas of urban renewal, rational use of energy and renewable energy. The RACIUS is primarily engaged in consulting in the areas of Engineering, Energy, Energy Efficiency, Sustainable Building, Multidisciplinary Studies and Projects, Investment Solutions and Implementation. RdA – Climate Solutions believes that the most dangerous climate changes may still be avoided but immediate global action is needed to slow the growth in greenhouse gas emissions and to adapt to changes that are already locked in. RdA is an advisory company specialized in mitigation and adaptation strategies. REAL Engineering Services LLC (REAL) is an independent engineering and energy asset management company specializing in analysis, development and execution of energy efficiency projects in a variety of commercial and industrial markets. Our staff is experienced in traditional MEP (Mechanical Electrical and Plumbing) engineering and design services with a strong focus on sustainability and energy efficiency. We also provide unbiased energy management and sustainability services to organizations in a wide range of industries including but not limited to municipal and private office buildings, K-12 schools, higher education campuses, health care facilities, pharmaceutical facilities, residential high rise buildings, and industrial facilities. Our energy services include ASHRAE Level 1, 2 and 3 energy audits, energy feasibility studies, energy master planning and energy modelling services. Our goal is to provide critical information needed to make educated decisions about specific energy or infrastructure improvement opportunities, and assess relevant risks and options. Renesco is an ESCO we produce a pipeline of energy saving cash flows. The ability to sell or securitize these cash flows is essential to our existence. ReNewAll works with building owners, schools, municipalities, contractors and the trades to develop energy efficiency and renewable energy projects. We provide sustainable, integrated community and economic development solutions, which successfully incorporate the triple bottom line. Renew Financial manages several programs that finance energy efficiency and renewable generation projects for residential and commercial programs. The CaliforniaFIRST Property Assessed Clean Energy ("PACE") provides low-cost financing for projects throughout most of California. We believe that the ICP protocols will increase property owner demand for EE retrofits and will streamline the underwriting process. RENEW Energy Partners is an energy efficiency/clean on-site energy finance and development firm serving the retrofit market for commercial and industrial (“C&I”) buildings. RENEW finances, develops and owns or manages improvements to existing C&I buildings to optimize their energy performance. Renovate America is leading the way in making homes and communities more energy and water efficient. We partner with cities and counties to provide innovative new financing solutions that deliver multiple benefits including energy savings, lower utility bills, reduced emissions, new jobs and increased property values. Our HERO Financing Program is the fastest growing energy efficiency financing solution in the country. Resilient Buildings Group encourages clients to follow an accountability process as they approach their EE/RE projects - understand the baseline energy use in the building and develop a realistic and aggressive plan to achieve it. During the project, we hire experienced professionals to implement the measures, and verify their work through building commissioning, and follow-up with monitoring and verification, to prove out the success of the project, the energy and cost savings, and the related benefits from an EE/RE project. The ICP process mirrors the work we do and provides a new layer of credibility to clients who might not understand the value of this process. ​Reval Crowdinvesting offers alternative financing for real estate developments. Revalue.io provides provides software and hands on project assistance to streamline ICP project certifications, reduce costs and project timelines. Revest UK is a UK utility company. We work with commercial and domestic customers to deliver mass renewable energy measures to offer them green services instead of brown. Rivion team members are operational and energy efficiency experts providing a higher level of service to clients across the country and around the world. As an owner's technical representative, we guide owners toward the best energy and water efficiency decisions, using proven auditing and analysis procedures. Our approach will always be people driven and client-focused. RNAE - Association of Energy and Environmental Agencies (PT National Network), established on January 28, 2010, is a cooperation network made up of all local and regional Energy Agencies, in order to share information and experiences, promote cooperation with national and European entities related to those areas of energy and environmental policies, as well as develop partnerships with the aim of promoting interventive actions in the following areas: - Energy efficiency - Renewable energy - Alternative Fuels - Mobility and accessibility - Climate change. Rocky Mountain Institute is an independent, entrepreneurial, nonprofit, think-and-do tank. Co-founded in 1982 by Amory Lovins, who remains an active thought leader as Chairman and Chief Scientist, the Colorado-based organization now has approximately 75 full-time staff, an annual budget of nearly $12 million, and a global reputation. RMI excels in radical resource efficiency, especially via integrative design. They drive progress chiefly by transforming design, identifying and busting barriers, and spreading innovation. The Royal Bank of Scotland plc is one of the retail banking subsidiaries of The Royal Bank of Scotland Group plc, and together with NatWest and Ulster Bank, provides banking facilities throughout the UK and Ireland. RTRO Energy Addresses the USA’s energy challenges by Doing the right things in the right order through the combination of Retro-Commissioning, System Monitoring, Capital Upgrades, Dynamic Funding Solutions and Sustainable Power Generation. ​S.energia is the Regional Energy Agency for Barreiro, Moita and Montijo municipalities. It is an independent organization, “not-for-profit” basis, providing a public service. S.energia goals are the promotion of energy efficiency and renewable energies at local/regional level, changing citizens’ behaviour, improve the quality of local/regional decision-making and planning. A further goal is to protect environment, by introducing good practices and efficient technologies with meaning of decreasing environmental impacts. Schneider Electric is a public corporation that was established in 1836. Over the past 182 years, we have grown into a recognized global specialist in energy management with 144,000+ employees worldwide, operations in more than 100 countries and sales of $27.9 Billion in 2017. We currently have over 5,000 employees in California. All business units of Schneider Electric have energy and cost savings at their core. We offer a full range of integrated solutions to make power safe and reliable, improve energy efficiency, harness renewable power, and manage comfort and communication within facilities. Embedded within the Buildings Business is the Energy and Sustainability Services Group, who has the sole responsibility of undertaking turnkey Energy Services projects. To date this group has been involved in over 730 projects nationwide with 93% of our projects exceeding their guaranteed savings. SCT Consulting is an Integrated Energy Solution company, one of the main goals of SCT Consulting is to increase Efficiency and Effectiveness of energy consumption through sustainable (economic and environmental) projects. SCT Consulting provides solutions from the earliest stage (audit and diagnosis) to the last stage (implementation and monitoring). Servelect is an ESCO from Romania with over 11 years of experience in energy efficiency projects. Our mission is to create a competitive industrial and business environment, and more important, to have a positive impact on your worker's welfare, supporting their families. In 2011, Servelect was entitled by the European Union as the "Best European Energy Service Provider". SPiCE³ is a ground-breaking multinational project in the European chemical industry that enables all chemical companies to enhance their energy efficiency through its online platform, workshops, local events, on-site trainings, an energy efficiency award scheme and European level events. SI Capital Private Equity is a specialist investor across the European Energy Efficiency value chain principally in Spain and the UK. stok is a vertically integrated real estate services firm focused on creating a radically better built environment. We balance the financial and performance goals of our projects with social and environmental needs, resulting in restorative buildings, exceptional workspaces, high-performance systems, and lasting, trusted relationships with our partners. In all that we do—from tenant representation, project management and strategy to design, certification and quality assurance—we take a broad-thinking, partner-focused approach to solving complex problems. SUSI Partners is a Swiss investment advisor with 44 investment professionals located in Zurich, Frankfurt and Luxembourg. The company focuses on financing the energy transition and sustainable energy infrastructure. With its affiliated company Sustainable Sàrl, SUSI offers funds to institutional investors. All investment products generate stable annual distributions. With its three pillar strategy, focusing on 1) Renewable Energy Generation 2) Energy Efficiency Retrofits, and 3) Energy Storage & Off-Grid Solutions, the company is active in one of the fastest growing and most attractive industries over the next decades. Syserco Energy Solutions provides energy services to the Greater Bay Area market. TDIndustries delivers a comprehensive approach to Facility Services and Mechanical Construction. TD partners with clients across the entire life-cycle of a facility from engineering and construction to operations and maintenance. For 70 years, TDIndustries has provided innovative design and performance of world-class engineered systems which serve healthcare facilities, hotels, schools, mission critical, and industrial complexes. Emphasis on employees and culture has been recognized by Fortune Magazine listing TDIndustries as a 100 Best Companies to Work, for 18 consecutive years. Experience the innovation in multiple industries throughout Dallas, Fort Worth, Houston, Austin, Richardson, San Antonio and Phoenix, Arizona. Tebodin is a multidisciplinary consulting and engineering firm, offering independent services to its clients all over the world based on the knowledge and experience of its highly skilled and dedicated professionals. 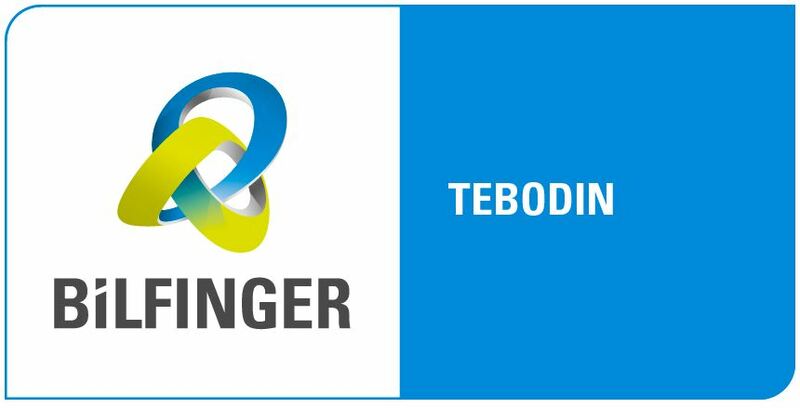 Tebodin, together with partners of the Bilfinger group, provides Energy Performance Contracting services for industrial clients. We have an international track record in reducing energy & water costs for our clients while providing guarantees and external financing. ​Telles Law Firm is a full service law firm with 80 years and more them 75 lawyers. Our areas of practice are handled by teams with a vast and wide-reaching knowledge of the issues. We work with a network of international partners, meeting the needs of our customers which are active in other countries and markets. Tierra Resource Consultants, LLC (“Tierra”) is a California small business enterprise that provides resource management consulting service. Tierra’s principal staff members have provided best-in-class technical services for nearly 30 years in virtually every market segment. Clients have included electric, gas, and water utilities, local governments, regulatory bodies, and private sector clients across North America. Our services span the resource management value chain, from technical development and financing of individual projects, program design and implementation, through development and support of regulatory policies. Tilia is the partner of cities, communities, public and private utilities, industrial businesses and co-investors, who seek to develop new projects, make new investments, improve their operations, redefine their strategy and manage increasingly complex challenges in the fields of energy, water and environmental services. 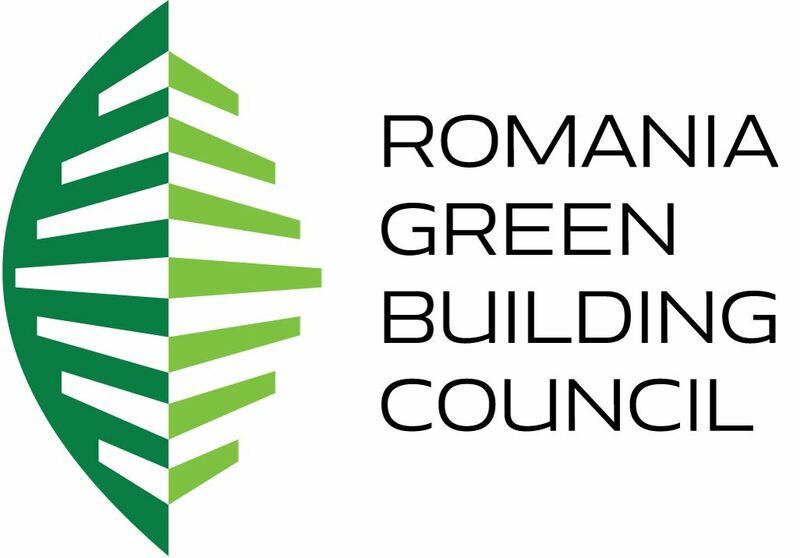 The Romania Green Building Council (RoGBC) is a non-profit, non-political association of member companies founded in 2008. It is the country’s leading organization dedicated to promoting sustainable construction and real estate with the mission to deliver the market, educational, and legislative conditions necessary to promote high performance construction that is both sustainable and profitable. The organization works to create an exemplary development model for the region by ensuring the built environment will not imperil future generations but rather be a source of safety, comfort, innovation, and opportunity. THG Energy supports industry partners with enterprise energy data and technology solutions. We help multi-facility clients streamline data acquisition to measure and manage energy and sustainability initiatives. We focus on cost savings, actionable analytics, and real-time, market based load management. Transformative Wave's CATALYST is the leading retrofit solution in the nation for rooftop packaged HVAC systems. It is proven to reduce overall energy use by 25%-50%. The US DOE reports average savings of 57% in field trials. It is a retrofit kit that converts the oversized HVAC system into a more dynamic machine that matches the energy use with the true comfort and ventilation needs of the space. It goes further than a web thermostat’s capabilities by adding multiple new sensors, advanced economizer logic, demand control ventilation, and a Variable Frequency Drive that reduces fan energy on average 70%. The CATALYST is the most comprehensive and validated energy efficiency product on the market for RTUs. Turkeco Construction and Energy Inc. is a sustainability consulting and education/research firm based in Turkey. Our staff helps clients setting strategies to design and built green projects and advice on the leading environmental assessment methods. Our firm uses the industry standard scoring systems like LEED, BREEAM and DGNB to help clients achieve the required sustainability targets for both new and existing buildings using energy modeling and daylight simulations. 2GO OUT Consulting is a Consulting Company providing specialized services to integrate sustainability & innovation into corporate strategy. We provide services in the areas of ISO 50001 (energy management systems), energy efficiency, low carbon energy, finance for sustainable energy, low carbon strategies, smart cities and communities strategies, resource efficient economy strategies, eco-innovative solutions and eco-innovative strategies. We also support organizations on preparing and manage research & innovation projects. Sebesta, Inc. (Sebesta) was established in 1994. Since then, we have served as a premier service provider of consulting solutions, delivering our integrated services as a unified team throughout our client-focused market segments. From master planning to detailed design, implementation and optimization strategies — we support our clients through the lifecycle of their operations, providing expert advice that optimizes the effectiveness of their facility budgets. Sefaira is a leading provider of software for high-performance building design. Working with hundreds of architectural and engineering firms across the world, Sefaira helps building designers embed performance analysis into each design decision on every building project. SEA Servizi Energia Ambiente Srl is an Energy Services and an engineering company founded in 2005. It is a team of experienced professionals in multiple sectors such as energy, information technology, organization, environment and training providing their knowledge with the aim to contribute to sustainable growth. SEA is one of the first ESCo operating in the IWC (Italian White Certificates) exchange and generation. Siemens is the largest electrical engineering company in the world and the largest supplier of sustainable technology solutions. Siemens is active across a range of energy efficiency aspects - as a supplier of energy efficient products and solutions, in reducing energy across our own estate of manufacturing sites and offices and also as a delivery partner for complete energy efficiency programmes to end users. We are also active in financing energy efficiency projects both as the finance provider for the Uk Carbon Trust loans scheme and also directly through our Siemens Financial Services (SFS) organisation. We are currently active in a number of energy efficiency performance contracts to leading UK manufactuirng companies - where we routinely apply robust processes and procedures such as IPMVP. Sidel Systems USA Inc. is focused at achieving Energy Efficiency. Natural gas is America's most common fuel for industry and building space heating. Every natural gas appliance has a chimney, and leaving these chimneys is a lot of wasted heat energy and CO2 and water. The Sidel SRU Flue Gas Condenser is designed to recover that heat energy, making it available for use. Increased energy efficiency is reduced CO2 emissions. When the heat energy is recovered water is created and this distilled water is useable. simuwatt® is a software development company dedicated to energy efficiency. simuwatt Energy Auditor is an innovative cloud-based, tablet and desktop software solution that lowers the time and cost of providing high quality, commercial building energy audits while preserving the data to facilitate reporting, portfolio-wide tracking, and reuse. simuwatt Energy Auditor provides standardized data collection interfaces, an integrated community-driven library of energy conservation data, and enterprise collaboration tools to organize and create analysis-ready outputs for a variety of auditing approaches. ŠKODA Design & Architecture’s (ŠD+A) is a New York based architecture and interior design firm specializing in new homes, additions, apartment renovations / combinations, town houses and multi-family complexes. We also work on corporate offices, retail and hospitality projects. We are committed to working with clients on their projects through a comprehensive design approach which integrates architecture, interior design, and construction with building information management (BIM) systems to produce innovative + sustainable projects. We aim to meet and exceed our clients’ financial and technological expectations at every opportunity. SmartKlub (powered by E.ON) makes sense of cities and their communities’ needs, enabling its members to deliver Smart energy solutions better, faster and cheaper. SmartKlub does this by bringing all stakeholders together to co-create projects that build social capital as well as infrastructure. SmartKlub solves today's inefficient procurement with a radical business model. By coordinating a single conversation, sharing the costs and embracing ambiguity, SmartKlub unlocks creativity and accelerates delivery. Once started, the effect snowballs within and across member cities. And so we are able to transform our communities towards Smart Cities. Smartwatt is a energy services company (ESCO) acting in three distinct vectors, efficiency, renewables and intelligence, with the common objective of optimizing energy systems performance and resource usage. We deliver energy cost reduction and demand-side energy generation alternatives, helping managers saving on operation costs. With our predictive software solutions, operational costs to traders, energy producers and systems operators will decrease, creating a competitive advantage. Solindigos is a company committed to be a competitive solution, guiding its services with quality and rigor in the field of renewable energies and energetic efficiency. With very present environmental concerns, Solíndigos, Lda. is determined to show the quality and innovation of its services and to effectively act in the present. Soltura Energy Capital provides financing for medium-sized commercial building operators to realize immediate savings from lighting efficiency retrofit projects. Soltura offers lighting service agreements to its customers who are seeking to reduce their energy footprint without the substantial up-front financial commitment required to purchase state of the art efficient lighting. South-central Partnership for Energy Efficiency as a Resource (SPEER), the newest regional energy efficiency organization, is accelerating the adoption of advanced building systems and energy efficient products and services in Texas and Oklahoma. These two states include nearly 30 million people and 13 of the 15 fastest growing cities in America. There is tremendous opportunity to increase energy efficiency in the region through building codes, retrofits for existing buildings, better training, innovative policies, and cooperative marketing to make it easier for the public to understand efficiency opportunities. South Pole Group, based in Zurich, began as a project-driven company focused on developing and selling high-quality carbon credits. Today, it's the world's leading provider of climate solutions. No other firm in the world has developed as many successful emission reduction projects. No other company offers as rich a suite of services and solutions. SPG helps public and private sector organisations develop climate proven policies and strategies. Areas of expertise cover every key sustainability-related area of climate change, including but not limited to: forests & land use, water, sustainable cities & buildings, as well as renewable energy and energy efficiency. SRS Advogados is a full-service law firm based in Portugal which has expanded significantly in recent years, with over 100 lawyers. In 2012, we celebrated our 20th anniversary. We provide our clients a strong position in the national and international market, benefiting from a presence in Lisbon, Funchal and Oporto (the latter by way of association), as well as a first rate international presence through a number of international partnerships, namely in Angola, Brazil, Macao and Mozambique. Strategic Energy Group assists real estate investors in reducing utility costs. Drawing on extensive experience in real estate development and energy consulting, the principals of SEG specialize in translating the energy performance of buildings into financial terms. This analysis gives our clients greater control of their utility expenses, helping to reduce financial risks in an unpredictable energy market. Suresense Technologies Ltd is a manufacturer of energy efficiency solutions for the industrial sector. Solutions incude intelligent lighting products that reduce an average of energy usage by 75% in high bay lighting retrofit projects and an intelligent motor controller for fixed speed motors operating inefficiently at low or variable loads. Sustainable Industrial Solutions is an ESCO and Sustainability Technology company focused on removing the friction and waste across the energy efficiency value chain. We strive to amplify budgets and preserve the savings chain of custody in our implementations. Our Insight Portal bridges the gap between M&V and stakeholder engagement to insure sustainability is meaning and quantifiable within our manufacturing and industrial customer base. Sustento Group is a leading provider of energy efficiency program design and delivery services, with deep expertise in the areas of project development and financing. Swinerton Builders is a market leader in the construction industry. Founded in 1888 and voted Contractor of the Year by Engineering News Record (ENR) California in 2013. Our financial strength, combined with our deep in-house expertise, takes our projects to higher levels of quality, safety, sustainability, and innovation. Swinerton offers a single point of project responsibility for any type of green or deep energy retrofit. We bring a whole-building approach that includes auditing, design and engineering, rebates, financing, procurement, construction, green building certification, and operations verification. ​S317 Consulting is a global consultancy firm focused in resource management, engineering and public policy that generates value for public and private clients in the fields of energy, water, waste, mobility, carbon and sustainability. Taitem Engineering specializes in mechanical, electrical, and structural design, energy consulting, applied energy research, and renewable energy. Our clients include public and private entities and our projects include buildings in all sectors, including commercial, industrial, K–12 and higher education, healthcare, multifamily, as well as federal, state, and municipal governments. Taitem earned the 2005 R&D100 award for its work in developing TREAT energy modeling software, approved by U.S. DOE for all housing, including multifamily. In 2006, Taitem led the technical effort to develop the EnergyStar rating system for new high-performance multifamily buildings, in conjunction with US EPA and NYSERDA. Since 2007, Taitem has been the statewide quality assurance contractor for NYSERDA’s Multifamily Performance Programs. In 2013, Taitem earned B-Corporation status, meeting rigorous standards of social and environmental performance, accountability, and transparency. Taitem Engineering’s staff includes licensed professional engineers, LEED-accredited professionals, BPI-certified energy auditors, certified energy managers, NABCEP-certified solar PV installers, a master plumber, and a master electrician. "Taitem" stands for "technology as if the earth mattered," reflecting the firm's commitment to the environment. The Centre for Building Performance offers clients a wide range of services in an integrated package, including commissioning, energy modeling, consulting or test and balance services, Our integrated approach has put us at the forefront of the sustainable building movement for over 25 years, having completed thousands of projects, from classrooms to stadiums and prisons to hospitals. The Crowd faciliates knowledge sharing between large organisations to help them tackle the big issues of our time - from climate change to youth unemployment. We organise many events that cover energy efficiency, with an annual conference "Green Corporate Energy". In 2015 we will be launching The Energy Curve, and interactive database for companies to share their energy investment programmes. TIP Capital provides competitive leasing and financing options for commercial, industrial, and municipal energy-related projects including transactions from $10,000 (net of rebates) up to $5 million. Project funding is available for commercial office, medical office, industrial, auto dealerships, parking facilities, hospitality, healthcare, multi-family, schools and universities. TIP Capital also will consider municipal “tax-exempt” energy efficient upgrades and lighting retrofit projects up to $20 million in scope. A TJF Ecoenergy Solutions is a company specializing in energy efficiency and environmental solutions for buildings and industry. It is characterized by an intensive technological level and rises in order to respond to current market needs within the sectors of Energy, Environmental and Sustainability. With Mindful concept aimed at boosting the energy control market by offering a wide range of complementary services to each other in order to contribute to maximizing energy efficiency, combat waste and promote the optimization of natural resources. We help our clients manage the use of its energy resources effectively and efficiently , contributing to the reduction of carbon emissions from its facilities by promoting a reduction of overall costs and increased sustainability. Tozour Energy Systems (TES) is a full-service HVAC and building automation provider based in suburban Philadelphia. As the Trane commercial equipment franchise for Philadelphia and South Jersey, TES offers a multitude of climate solutions for commercial buildings. TES is committed to delivering superior operating results at our clients’ buildings and to those deriving value from them. Throughout the life of every building, TES stays connected to continuously measure and improve system performance. TRC Energy Services is a full-service vendor-neutral energy efficiency provider to Multifamily, Commercial and Industrial customers. We deliver high-quality energy efficiency projects that result in increased profits and more comfortable facilities. We offer full spectrum services from project conception and development through implementation services. Trident is an independent energy consulting and engineering firm that offers a myriad of services including energy/sustainability program planning, development, and implementation. However, Trident’s specialty is providing independent third-party due diligence, technical review, and development support of energy audits, and measurement and verification plans/reports to public and private building/facility owners. We have a proven successful track record with providing consulting, and facilitation support to nearly 200 State, County, and Municipal Governments, Federal Agencies, Higher Education, Junior and Community Colleges, K-12 Education, Healthcare, and private commercial facility owners. Today, Trident’s highly skilled engineers and consultants provide a network of experienced energy and technical resources to support the successful implementation of Investor Confidence Program “Investor Ready” projects. University of Zagreb Faculty of Civil Engineering is a public University with Departments: Geotechnical Engineering, Water Research, Structures, Materials, Mathematics, Construction Management, Transportation Engineering, Engineering Mechanics, and Buildings. UrbanVolt is based in Europe and provides LED retrofits to commercial customers on a Light-as-a-Service business model. We install a new LED solution at no cost to the customer and share the savings over 5 years. Verco is an award winning energy and sustainability company. We have a 25-year track record with a focus on low carbon growth, energy efficiency and clean energy project development. We provide an end-to-end service for clients, applying a mixture of technical and financial skills and our Carbon Desktop resource management and M&V software to undertake research, provide practical and insightful advice, and deliver energy efficiency and clean energy generation projects on a consultancy or guaranteed savings basis. Vesta Conseil Finance is an independent consulting firm operating in France that advises municipalities and local governments in setting-up public policies based on third-party financing in order to foster energy-efficient refurbishment of private housing and public buildings. Vidaris is an independent third party consulting group. We have worked on energy efficiency projects for commercial and residential properties that cover more than 200,000,000 square feet of real estate for more than 20 years. Our list of clients includes some of New York’s largest commercial real estate groups, convention centers, banks, and hotel chains, many on a portfolio-wide basis. We have been involved with retro-commissioning and measurement & verification services on many projects which extend for several years, allowing us to prove out the performance of our recommendations over time. In effect, these measurement & verification studies benefit both, our team and our clients, by allowing us to base our recommendations on a proven track record. Vidaris is a provider of niche consulting services within the A/E/C industry for both new construction and existing buildings, with a focus on high-performance buildings and specialty structures. Through a holistic approach, Vidaris creates value for its clients through the unique synergy of its consulting services for building envelope, sustainability, code advisory and construction advisory. Vidaris maintains independence as a third party advisor in order to best deliver and serve our clients’ requirements and expectations. In sum, Vidaris helps make buildings better. Vireo Energy is an alternative energy financial consulting firm, providing innovation, technical and commercial excellence for a wide range of financial solutions, including renewable energy and energy efficiency project finance solutions, knowledge of utility rebate programs, tax incentives, access to clean tech venture capital, private equity, tax equity, structured debt, A/R finance, bridge loans, ESCO finance and a variety of other structured financial solutions. In addition, we offer free consulting to developing countries for off grid energy solutions, helping create and build sustainable solutions for the developing world. Virtual Power Solutions (VPS) is an innovative company with a strong knowledge and experience in Internet of Things (IoT), developing hardware and software solutions, M2M communication platforms based on cloud and mobile applications for Smart Homes and Smart Cities, acquiring and processing large data sets every day to provide its customers with valuable insights. It has a track record of more than 50,000 successfully installed products (banks, hotels, industry, airports, hospitals, universities, retail, utilities and municipalities) spread along the 5 continents proving the high quality, value and reliability of VPS’s solutions. ​Warren Energy Engineering, LLC is an independent energy engineering company that focuses on energy efficiency. Our core expertise is designing and implementing energy efficient practices, evaluating proposed energy saving measures, and presenting the results of installed equipment, processes, and technologies. We also provide engineering support to a range of clients, from business owners and design consultants, to utilities and energy services companies. Wexus Technologies, Inc. is a San Francisco-based, software-as-a-service (SaaS) company focused in energy and water efficiency for agriculture. By accessing smart meter technology, our Wexus (Water-Energy-Nexus) IoT software platform makes the most complicated utility data simple, usable and actionable to empower farmers to track costs and usage, avoid irrigation equipment problems and save money, labor, time, energy and water. Willdan Energy Solutions develops and implements comprehensive energy solutions nationwide for utilities, commercial entities, and all levels of government. We help our clients realize cost and energy savings by tailoring solutions that serve vertical markets such as data centers, healthcare, lodging, and schools; providing energy reduction plans for large end-user commercial facilities and multi-family residences; and developing and implementing cutting-edge cost-effective measures for small businesses. WinnDevelopment has earned a national reputation for excellence in real estate development over the past four decades. We have acquired and developed real estate holdings with a value in excess of $2 billion. The WinnDevelopment portfolio spans affordable housing, market-rate housing, urban and suburban garden-style and high-rise apartment communities, office buildings, hotels, retail, medical campuses and parking garage facilities. To complement our development and financial capabilities, our extensive operations capacity spans onsite property management, full-charge accounting, financial reporting, negotiation and asset-management evaluation. XZ Consultores S.A. has worked for twenty years in management consultancy, specializing in the areas of Strategic Management, Processes, Lean Management, Innovation, Social Responsibility, Human Resources, Quality, Environment, Safety and Risk. We also have a training department (classroom and e-learning) and an accredited testing laboratory. Ympact is a French Energy Efficiency Project Developer, and Third Party Investment solutions provider. Yardi Systems is the property management software leader for real estate clients worldwide. The Yardi Smart Energy Suite monitors and enables HVAC optimization strategies at building facilities to ensure our clients meet their aggressive energy savings goals while improving tenant satisfaction and comfort. Zesco provides consultancy services for the development of energy efficiency and renewable energy projects in the business and public sectors in Ireland. We specialise in coordinating and facilitating ESCo projects on behalf of the client. Our services include project identification, feasibility assessment, project coordination, procurement and preparing clients to obtain finance.